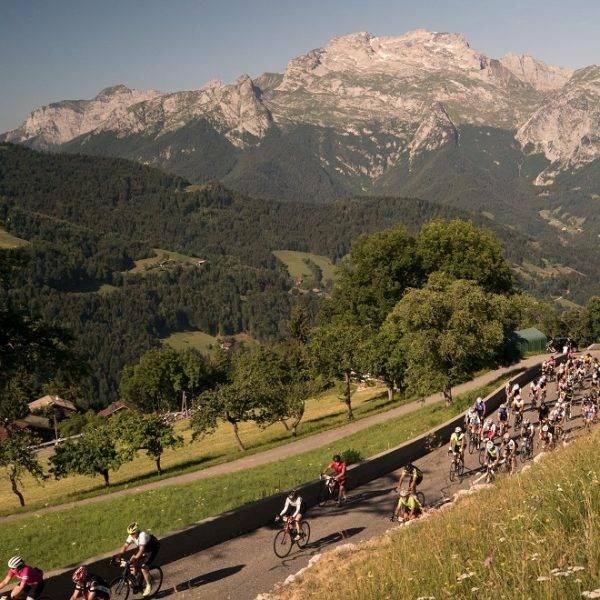 The 2019 Etape du Tour takes place on Sunday 21 July in a beautiful Alpine setting with a start in Albertville and finish at high altitude in Val Thorens. 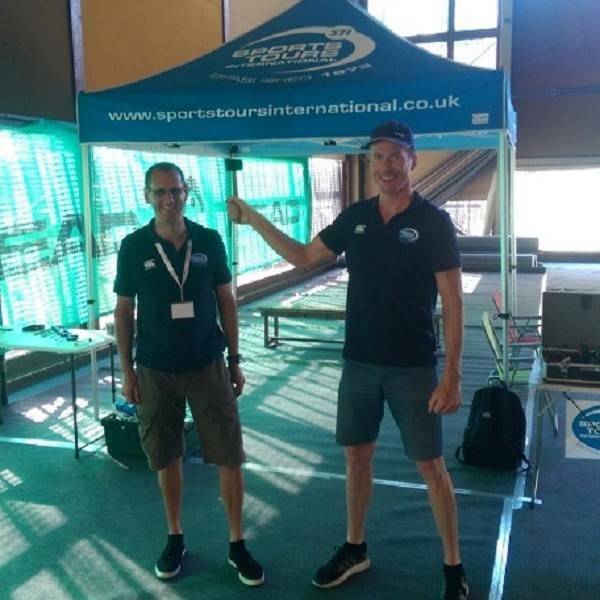 Sports Tours International are the official Tour de France and Etape du Tour international travel partner. 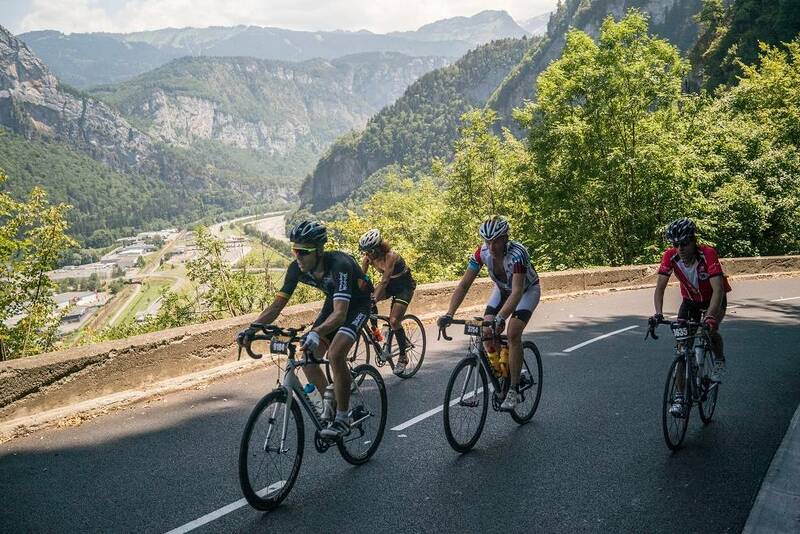 The Etape du Tour is your opportunity to ride a stage of the Tour de France on 100% closed roads on exactly the same route as the riders of the Tour de France peloton who will ride this exact stage on Saturday 26 July. 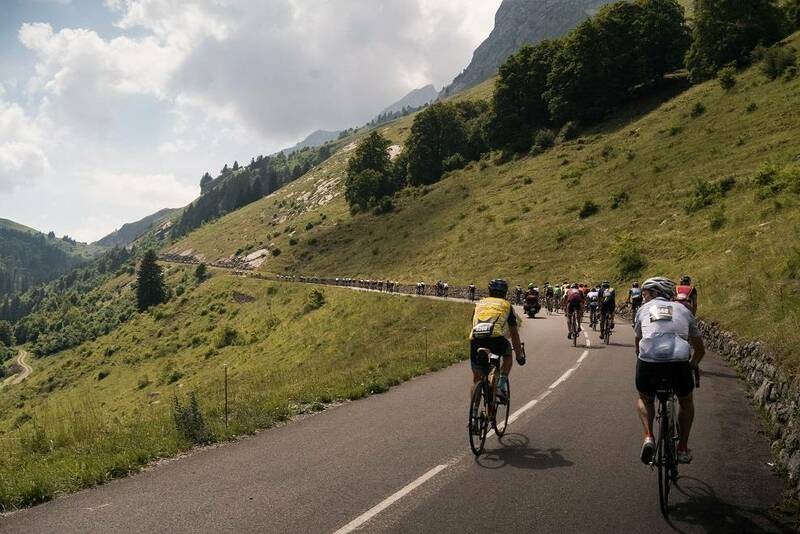 The 2019 Etape du Tour will take place on Sunday 21 July, 2019 in the beautiful French Alps and the Tour de France stage that has been chosen to be the 2019 Etape du Tour is the final stage of the 2019 Tour de France. 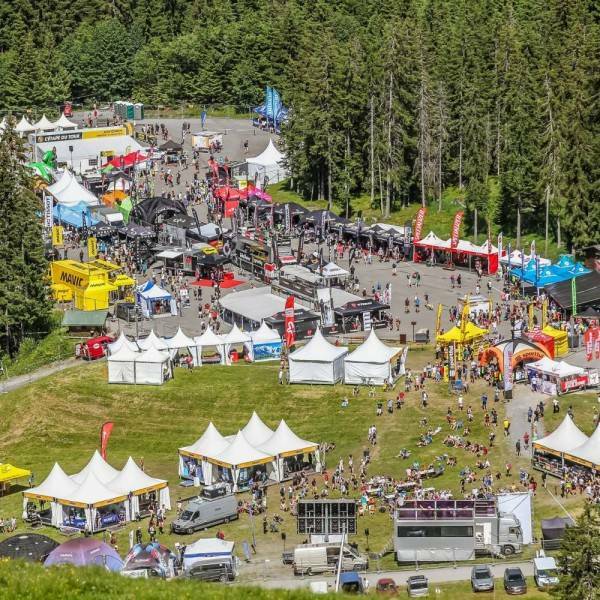 Stage 20 will see the riders of the 2019 Tour de France battle it out between Albertville and Val Thorens on Saturday 27 July. 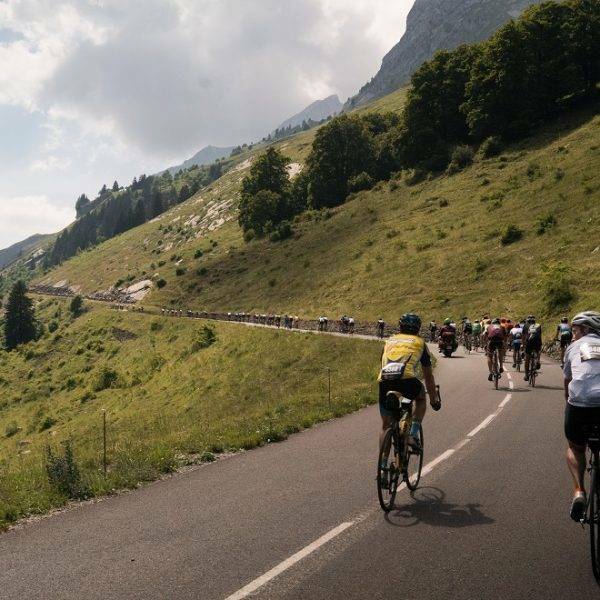 The Étape du Tour is your opportunity to ride stage 20 of the 2019 Tour de France under similar race-day conditions as the Tour itself. That means you get closed roads, Mavic on-road mechanical support and feed zones like on the Tour de France. 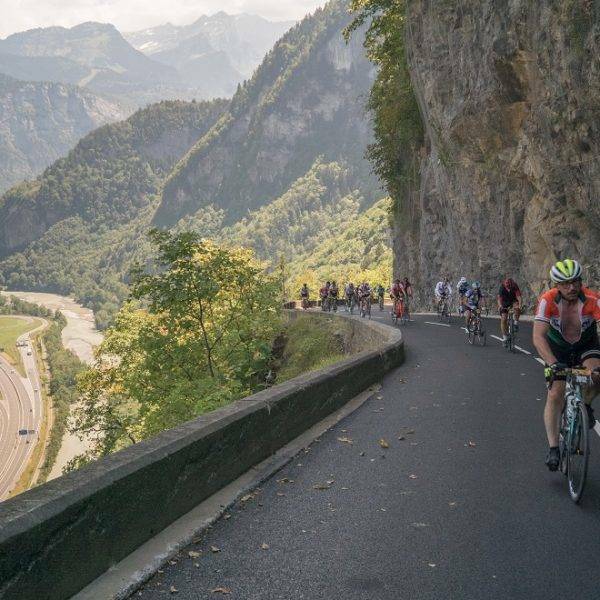 Sports Tours International is the official tour operator of the 2019 Etape du Tour and we have the best selection of travel options for you. 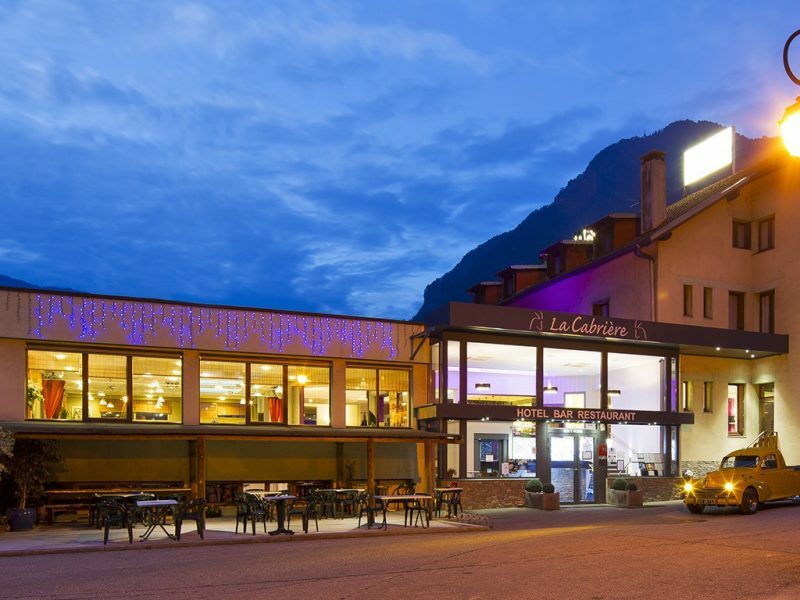 We have a wide selection of hotels in Albertville and the Moutiers area with guaranteed entry, airport transfers, event support, overland bike transport service, bike rental, mechanical services and much more. 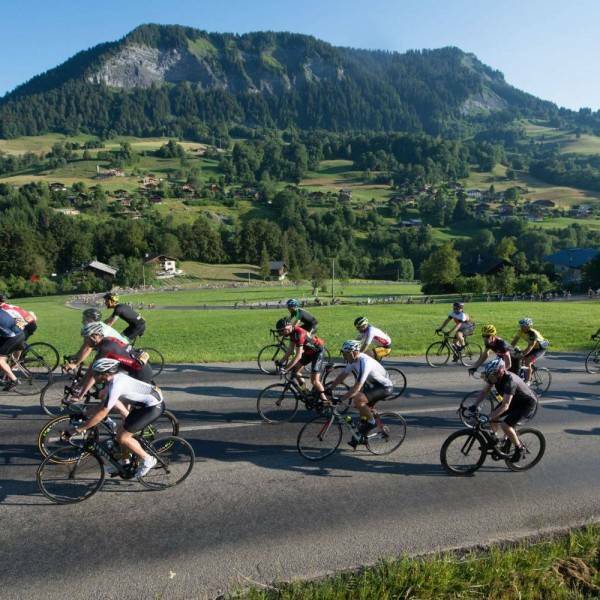 Why stay in the valley for the 2019 Etape du Tour? To allow you to make an informed choice, in the READ MORE section you can read more about the places to stay and the hotels available. 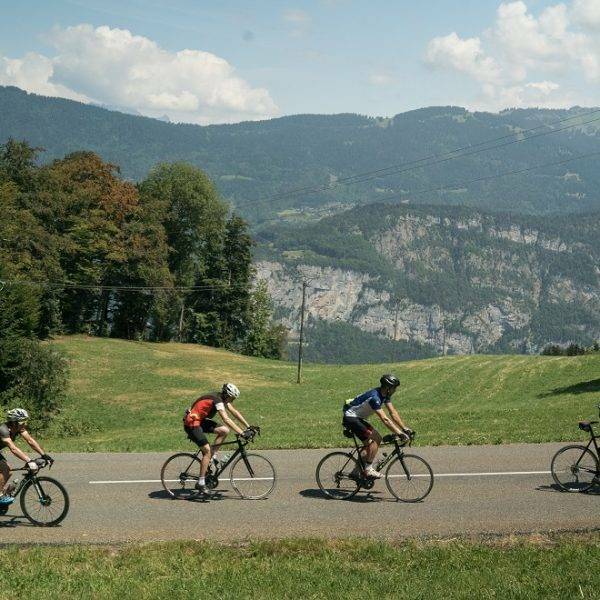 We offer guaranteed entry into the 2019 Etape du Tour without the need to purchase a full travel package at £250 per entry. 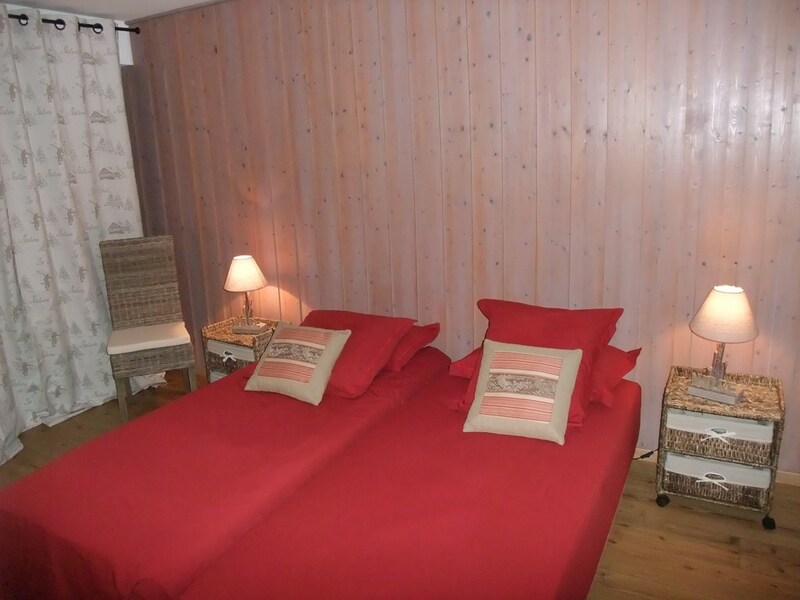 We have chosen to stay in Albertville, La Lechere, Aigueblanche, Moutiers and Brides Les Bains. 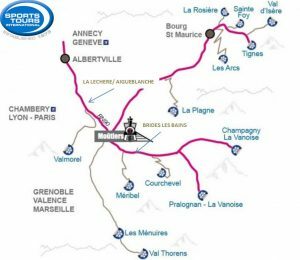 Apart from Albertville all these towns are situated at 25 to 35km from Albertville and about 35 to 50km from Val Thorens so centrally located for the 2019 Etape du Tour. 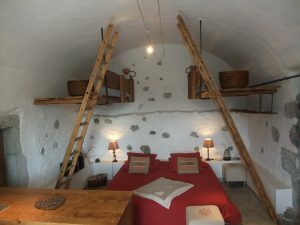 Read more below so you can make an informed choice on where to stay. 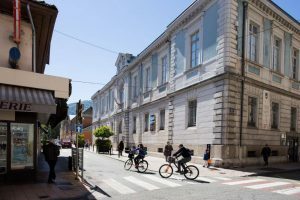 Tour de France riders often rode through Albertville to access the Tarentaise or Beaufortain valleys but they rarely stopped in town before the 2010s. 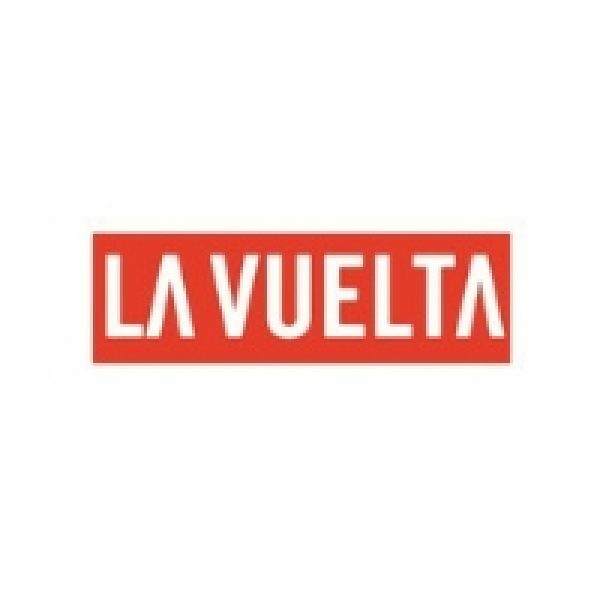 Two out of the the last 3 starts from the Olympic city were won by French riders. 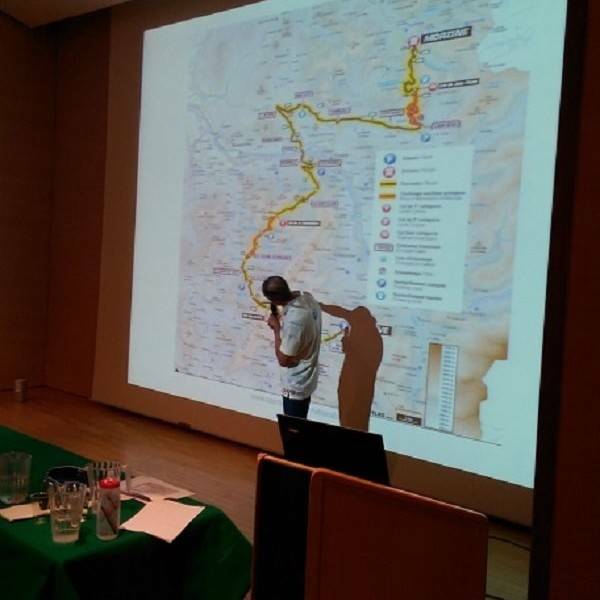 In 2012, Pierre Rolland made the best of the dynamic format of the stage to win in La Toussuire. In 2016, Romain Bardet attempted a coup in the finale to St Gervais to win the stage and finish second in the GC. 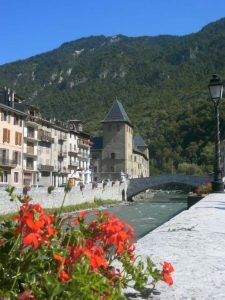 In 2018 Albertville was the start town for the stage to La Rosiere. 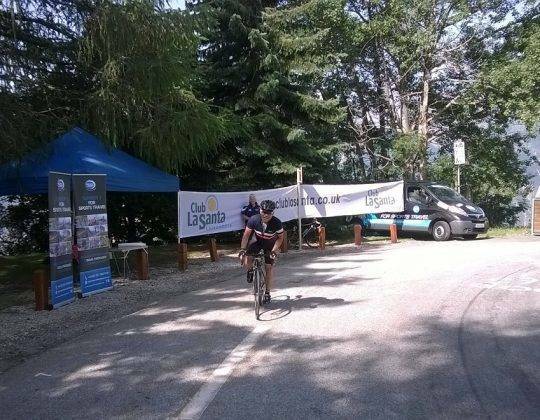 Team Sky’s Mickel Nieve went solo 9km before the end. 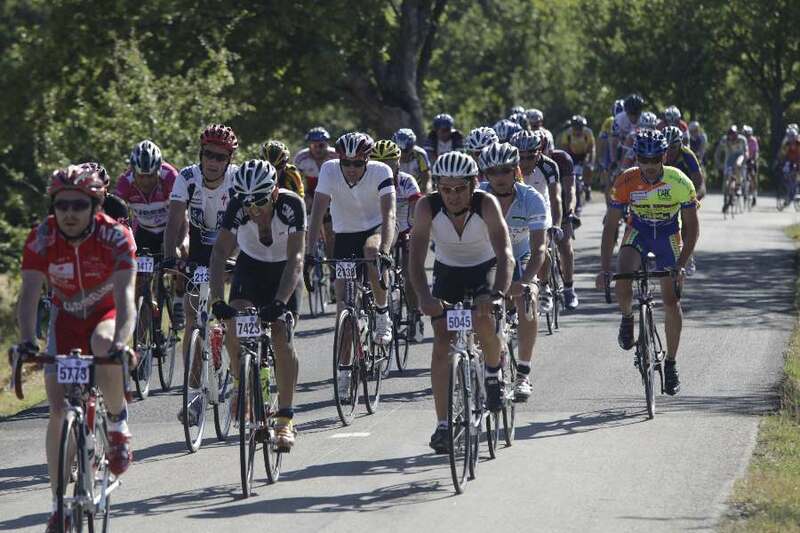 Only in the last kilometre, he was passed by Geraint Thomas who had attacked from the main group to catch Dumoulin. After winning the inaugural time trial in Düsseldorf last year, the Welshman took his first normal stage of the Tour de France ahead of Dumoulin and Froome. He then went on to win the Tour de France. 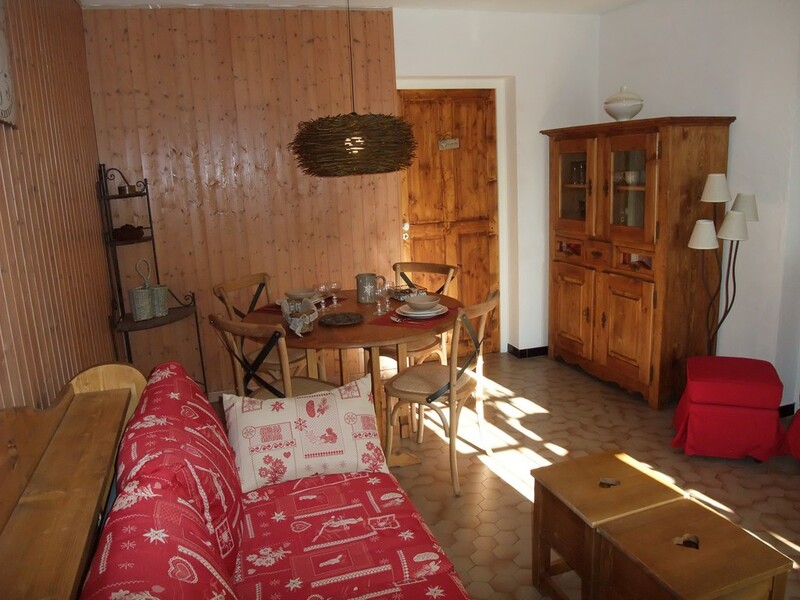 La Lechere is a small town in the Savoie, in the heart of the Alps. 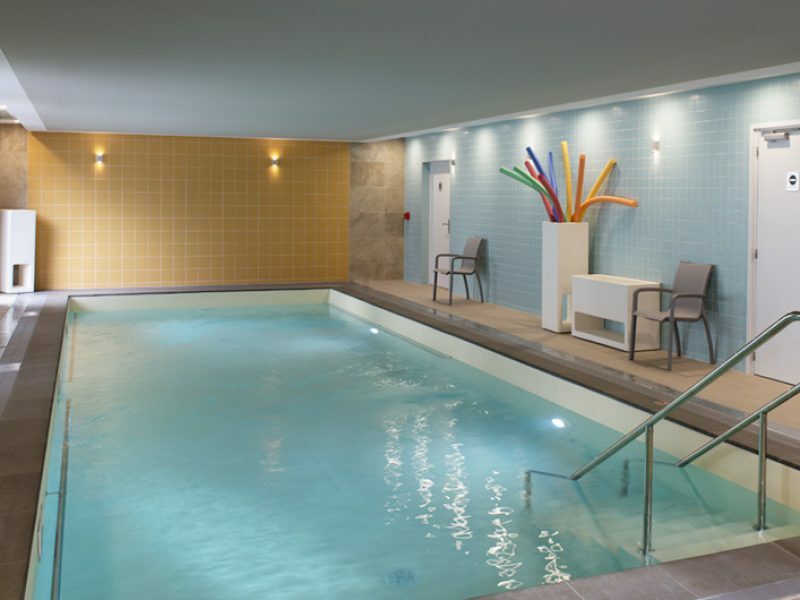 In summer the thermal baths are very popular for those seeking wellness, rest and relaxation. 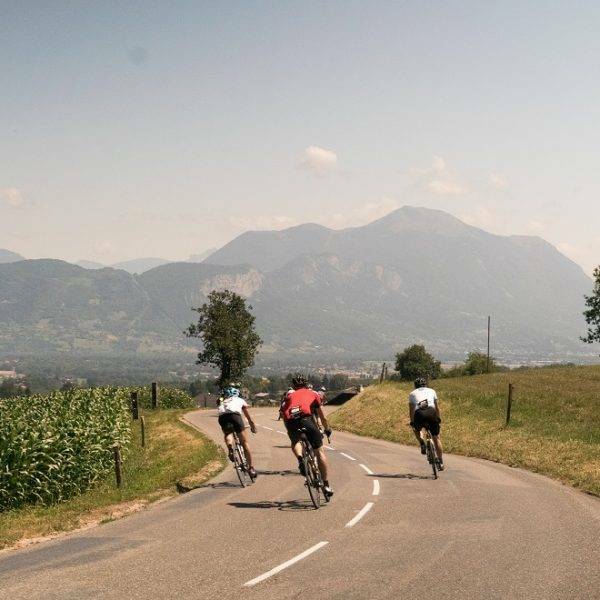 The rural setting allows you to easily access many beautiful walks but also some climbs made famous in the Tour de France like the Col de la Madeleine. 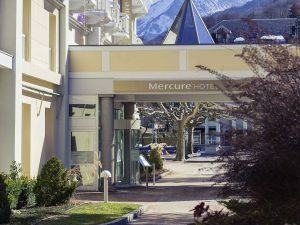 The proximity to many famous ski resorts and the development of the spa have also allowed it to make a name in the region. Located at 10 kilometres from Moutiers it’s easy to access ski resorts like Valmorel but also the big resorts in the 3 Valleys and the rest of the Tarentaise valley. 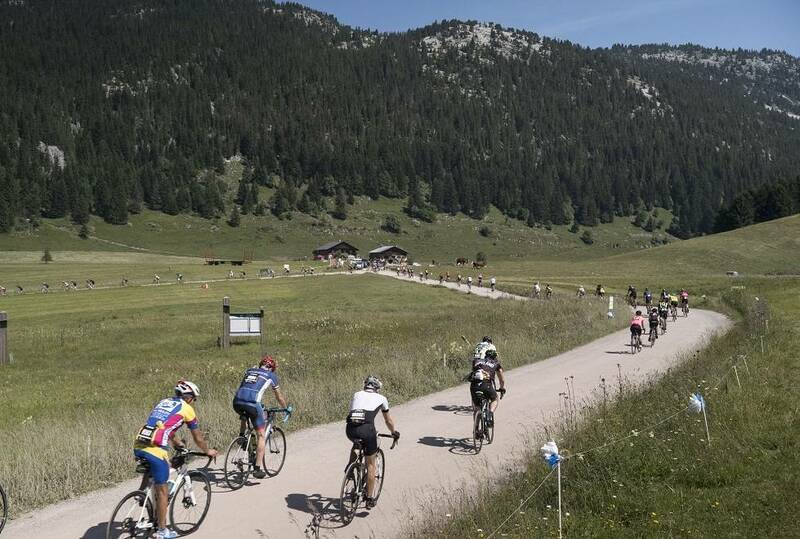 The foot of the Col de la Madeleine is within a 10 minute bike ride and there is a mostly flat cycling path which takes you directly into Albertville. The town of Aigueblanche is right next to La Lechere. Moûtiers is the gateway into the Tarentaise and it is the access point to the Les Trois Vallées ski area and other nearby resorts. Moutiers has a large train station which even though it’s not accessible to TGV trains, it is a seasonally important destination for trains from Lyon, Paris and beyond. The hotel Terminus as the name suggests is straight across from the train station so ideal if you are arriving by train. 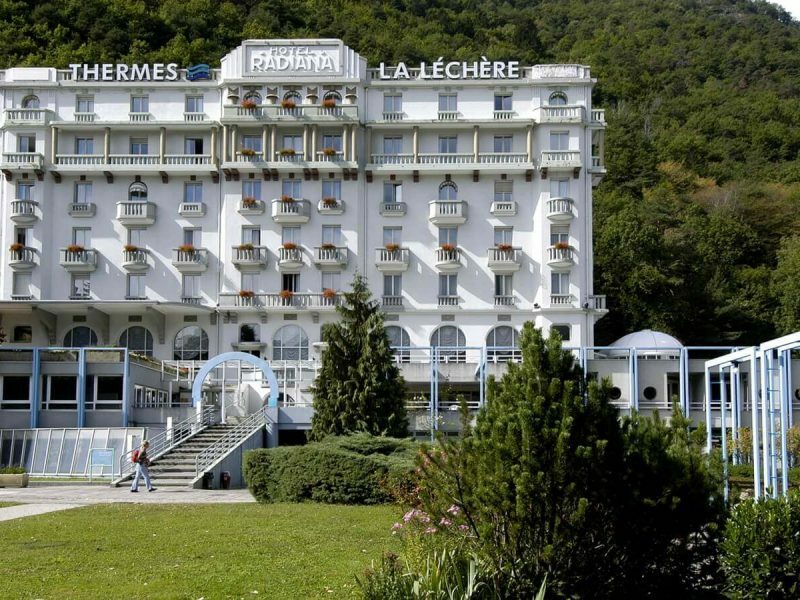 Brides-les-Bains is a famous thermal resort and since 1992 a winter sport resort as a cable car to Meribel was built. 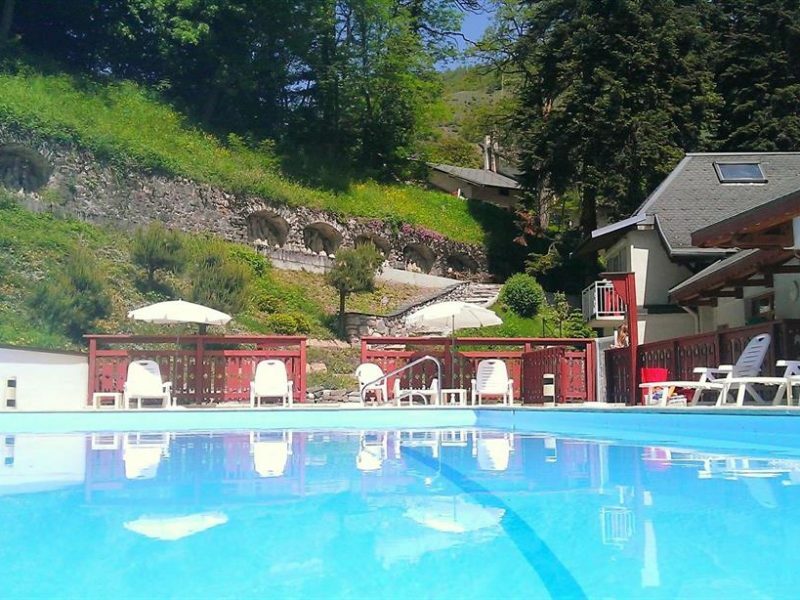 Brides is a year round tourist destination in the heart of Savoie region, at 600 meters of altitude, at the foot of “Les 3 Vallées”. In winter, the cable car ” Olympe ” takes skiers up to the most extensive ski area in the world. 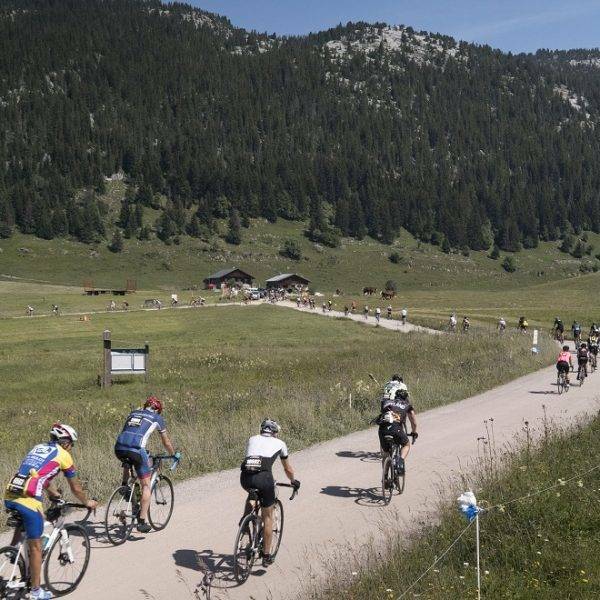 In the summer Brides Les Bains is busy with summer activities and the main attraction is the thermal baths and of course the road cycling. 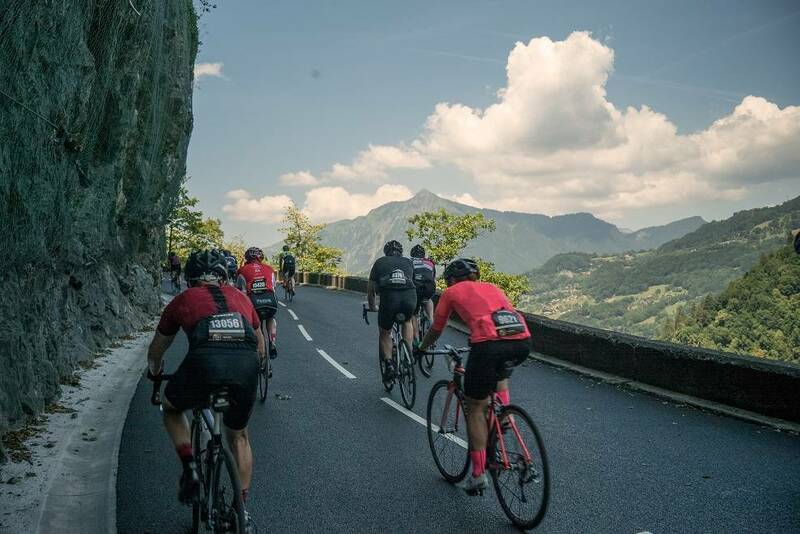 Why ride the 2019 Etape du Tour with us? I will also leave you some great feedback, already loaded the surveymonkey page on a separate tab. 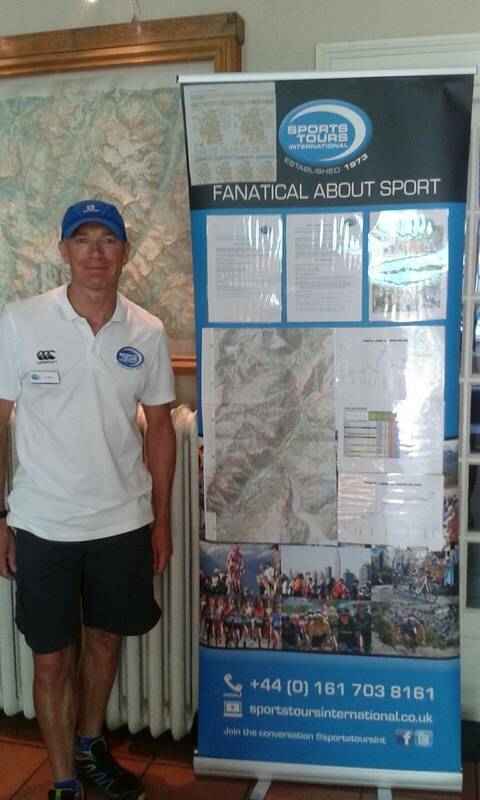 I just wanted to say a big thanks to all the Sports Tours guys for their support before and on the day at the Etape. They were great. The Etape was a challenge, but I managed to struggle round in 8 hours and 3 seconds moving time (yep, those last 4 seconds will bug me forever!!). I guess that’s just about OK for an old codger like me! Just seen this email below – was I supposed to get a Sports Tours cycle jersey, to wear out on my bike and advertise your fantastic service?!! If so, then could you send a Medium to the address below please? 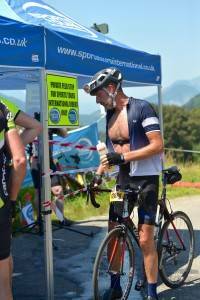 Rather than rush to feedback, I have sat, reflected and considered my trip with you to the Etape du Tour. Your team was very helpful with my difficult circumstances. 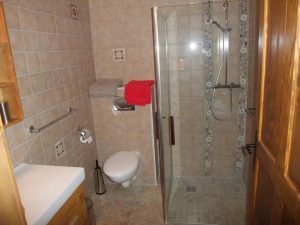 Your team managed to lease with the hotel and I hope swap rooms as whilst I had booked a junior suite, the rooms were just adjoining rooms that in my circumstances was brilliant. I'd have been very disappointed to have those rooms as a junior suite. 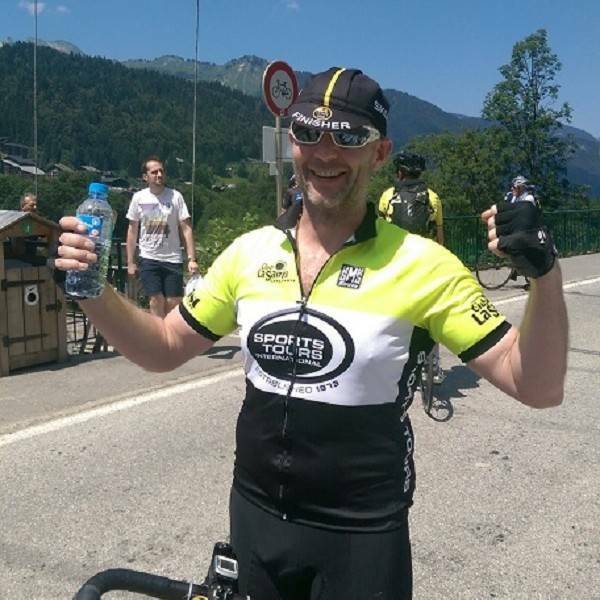 The booking was smooth and I felt last year when I received confirmation of my Etape entry in November, I knew that I had booked with a much better organisation, as this information last year was withheld until late April! The arrival at the hotel and booking in procedure was smooth and no trouble at all. 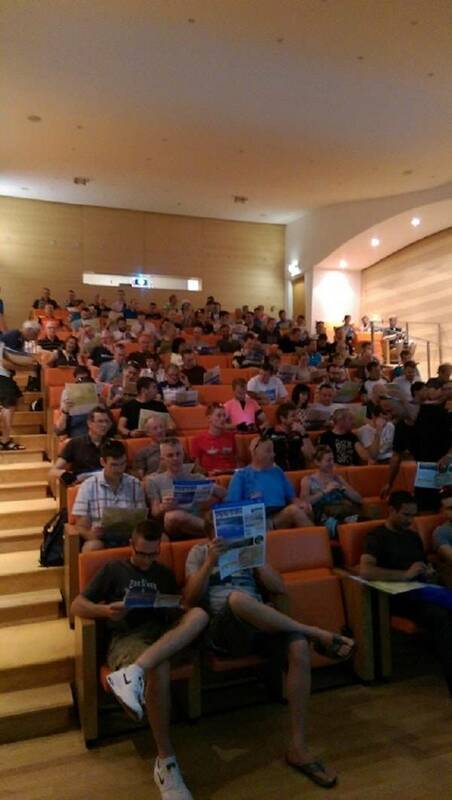 The Saturday briefing was helpful, although I'd had preferred a little earlier in the day if possible. 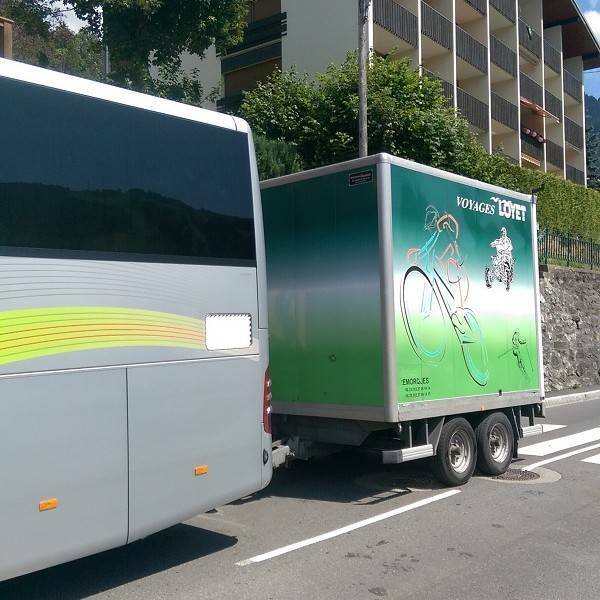 The coach back was great until the driver didn't appear to know where he was going in Annecy, so it did become a little fraught, but back we were and with the proper cycle carriage appreciated given I have a carbon bike and I have seen them "thrown" in the back of vans before now. 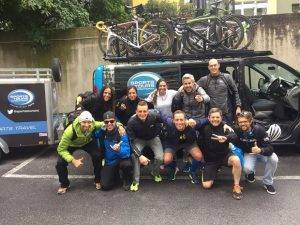 All in all, I am pleased with the organisation and communication and would use and recommend Sports Tours International to others. 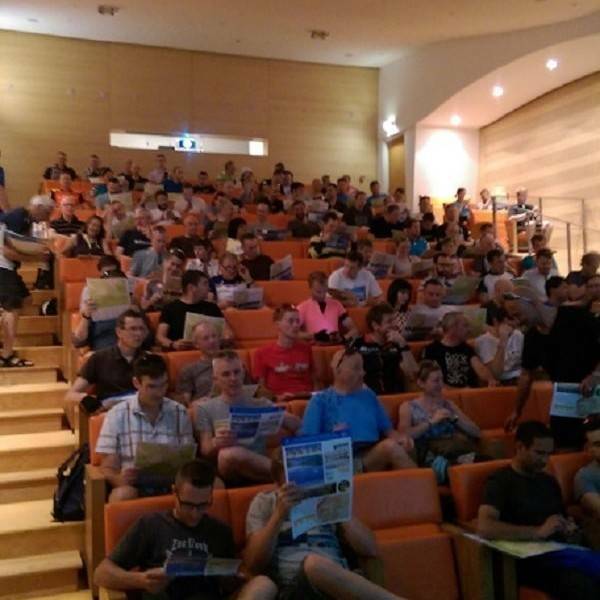 Your team in Annecy were exceptional. Thanks for your email. I’ll definitely be recommending Sports Tours International to friends. Thanks to you and your team, Howard in particular, for your help this weekend. It made the whole experience a lot smoother for us and although we didn’t quite manage to crack the top 100 we’ll be back next year for another go! 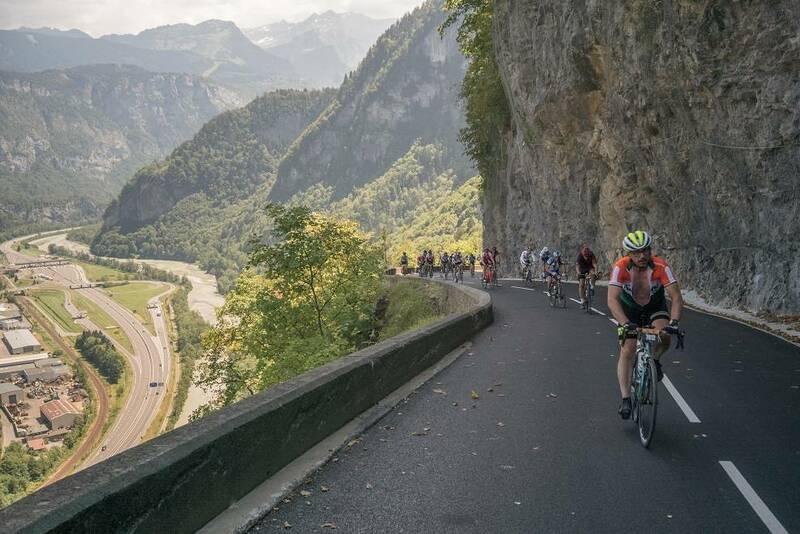 We’re back out with Sports Tours for the Haute Route Alpes if you’re attending. I contacted you before to claim my L'Etape coupon and am sending this to you not knowing whether you are the right person to contact. 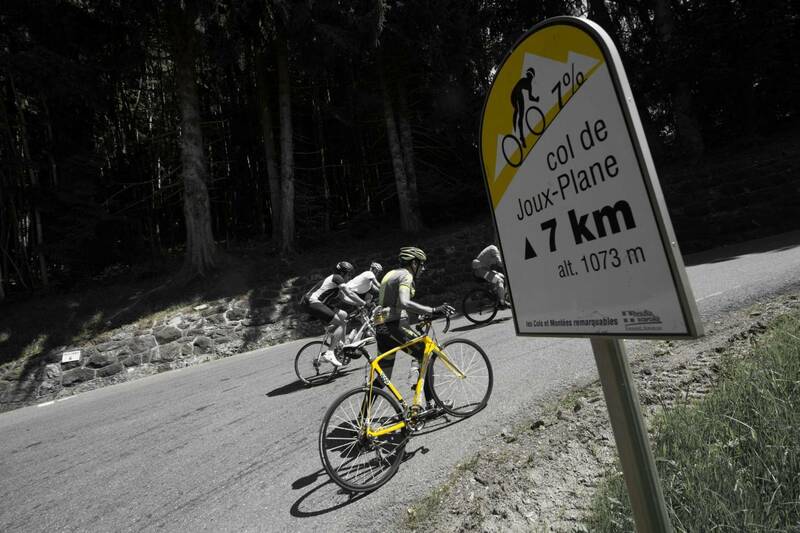 If you are not, please forward to all involved with last week's L'Etape. 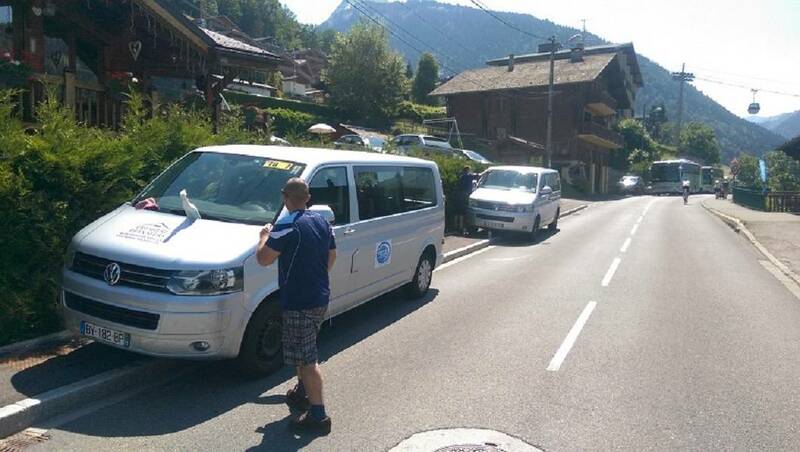 We used Sports Tours International last week for the L'Etape. We booked with them as we are from South Africa and we were of the opinion that using an operator would assist greatly in reducing the administration and logistical efforts from our side. I am sending this to sincerely thank Sports Tours International and the staff that were involved with the L'Etape. 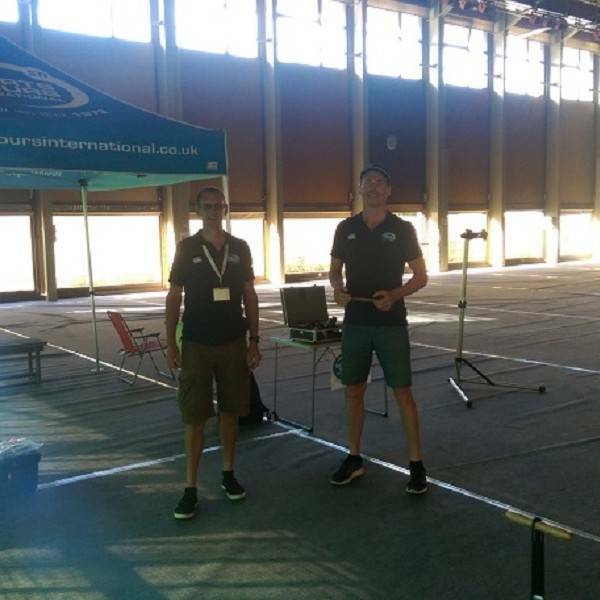 We had an unforgettable experience on the day and all the logistics, accommodation, food, mechanical, and race information requirements were outstanding. The Sports Tours International staff were friendly and very helpful and we had some pleasant conversations with some of the guys at dinner and breakfast too. If we do something like this again in the future, we will definitely consider Sports Tours International again. 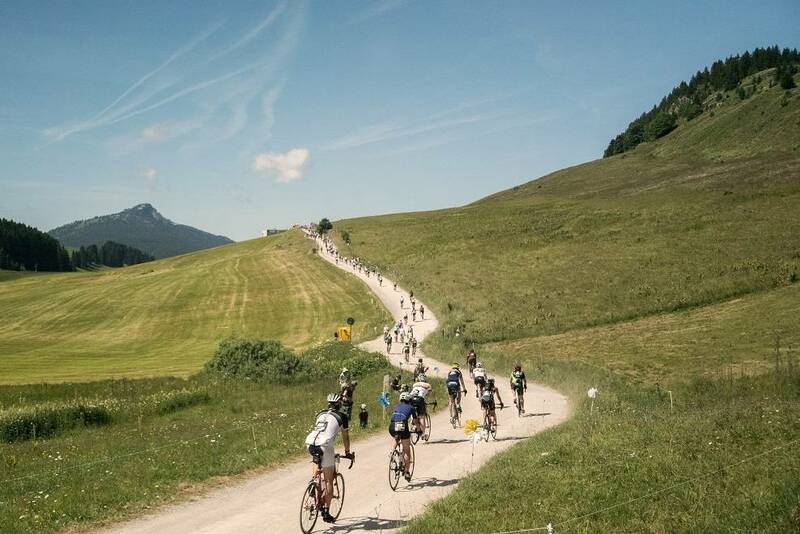 I wanted to take a moment to write to thank you and your colleagues for your help in getting me and my bike to the Etape start line in such great shape! 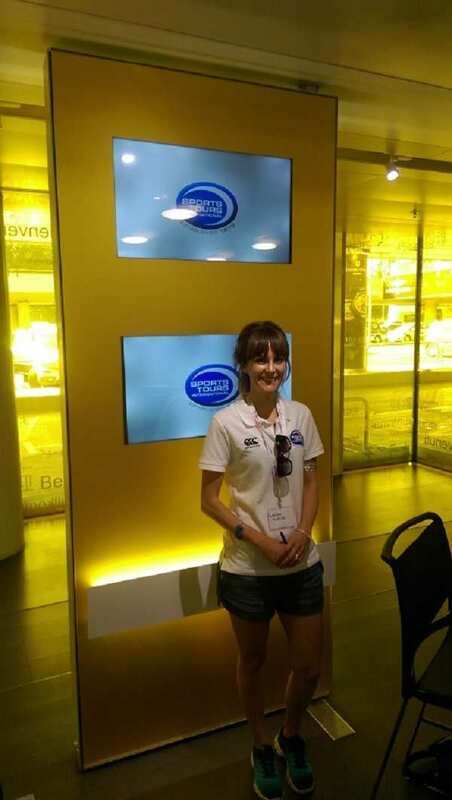 I was very impressed by the clear and timely information I received throughout the weekend, including the careful travel arrangements and attention to detail. Please pass on my thanks to the operations team who made it such a relaxed weekend ......apart from the race itself, which as full-on and committing as I’d hoped! 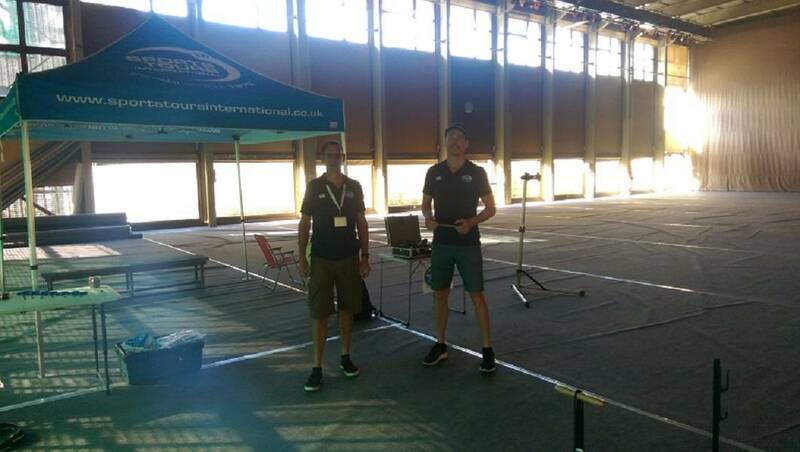 I was very happy to “fly the flag” wearing my Sports Tours Intl top (see photo attached). Great weekend . I will definitely book up again with your company. You guide -Phil Bird is an asset to your organisation. 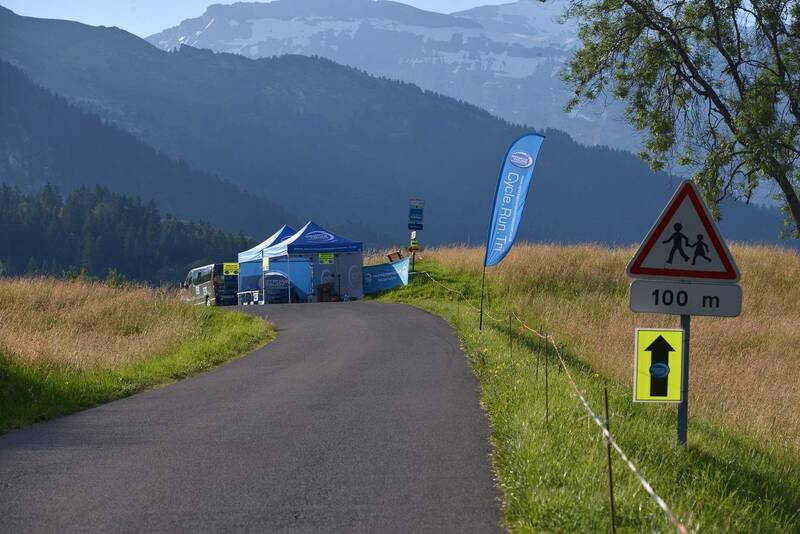 Just a quick note to say thanks to all the team for a really well organized weekend at the Etape du Tour. It was a never to be forgotten experience. 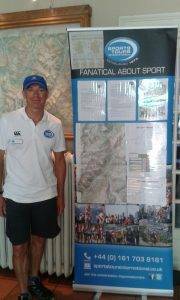 I wanted to say a special thank you to Paul Bird who was based at the Frejus hotel. 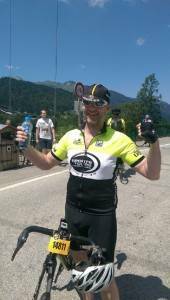 I recently travelled with you to complete my first Etape which was a very memorable experience and an event I now hope to do again. 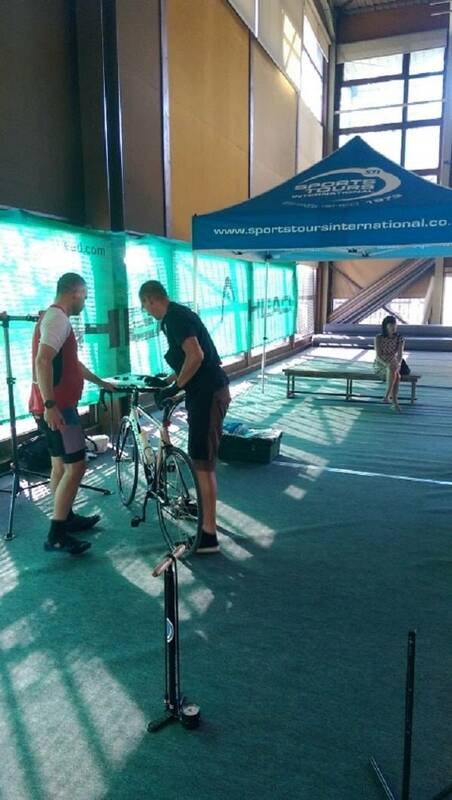 I'd like to thank all the team at STI who made the trip so effortless and enjoyable. 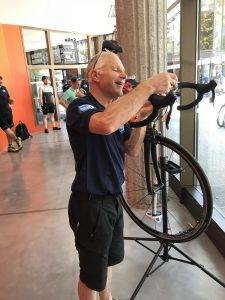 The briefing on Saturday morning helped address last minute questions and I was grateful for your mechanics to resolve a minor but annoying issue with my bike. 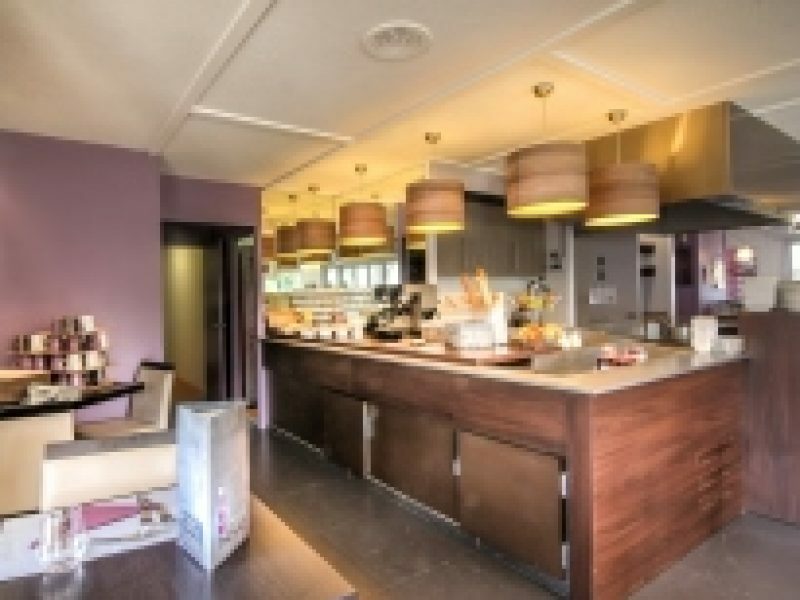 The accommodation and breakfasts at the Grand Aigle were superb - it wasn't hard to see why Team Sky were staying there a couple of days later! 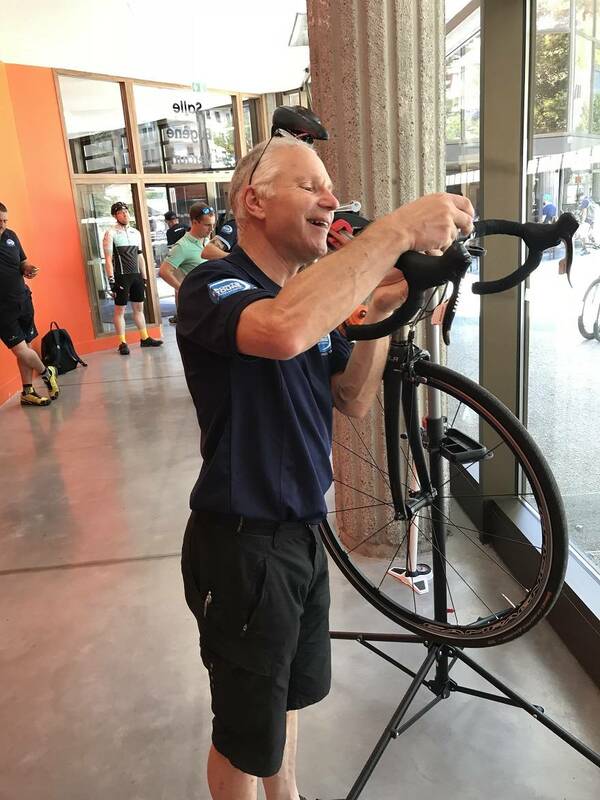 This was my second STI trip following Paris-Roubaix in April and I have appreciated the ability to "turn-up and ride" with all the details taken care of by STI. 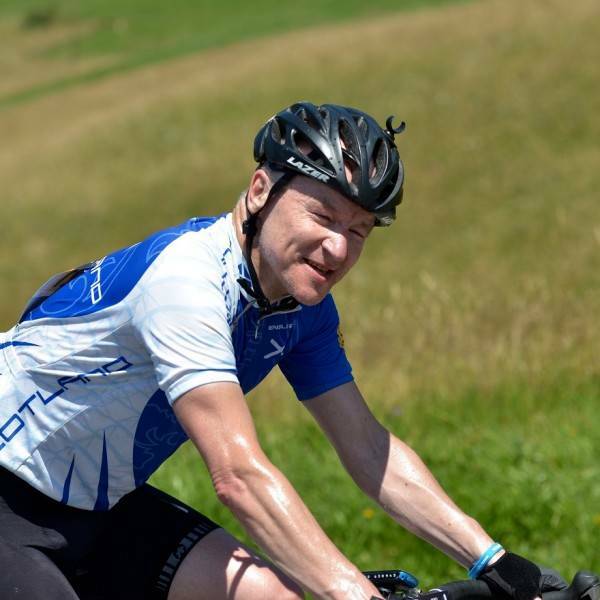 Thank you again for making my inaugural Etape such a memorable event. We have chosen Geneva airport as our arrival airport as it offers by far the most direct and indirect flight options from many countries. If you are making use of our airport transfer service, please give us your flight arrival details. We have arranged coach transfers at various times throughout the day from the airport. Please note, flights are going to be in high demand on this date, so we advise you to book early to guarantee a flight seat and a good price. 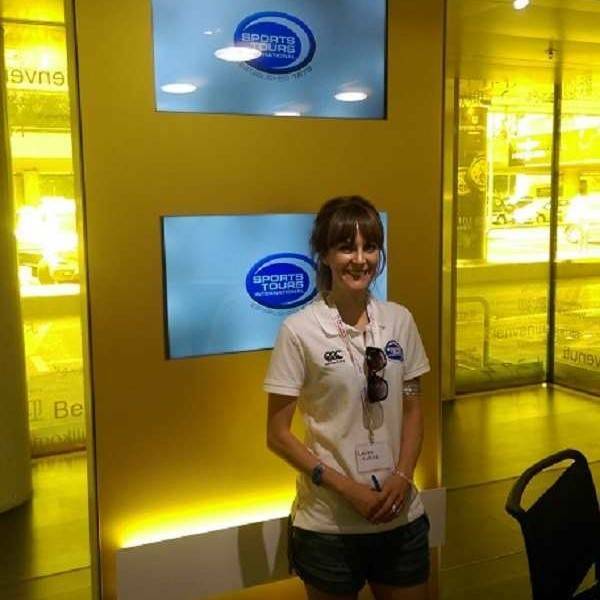 We have a welcome desk all day where we will welcome you and get you onto the transport. 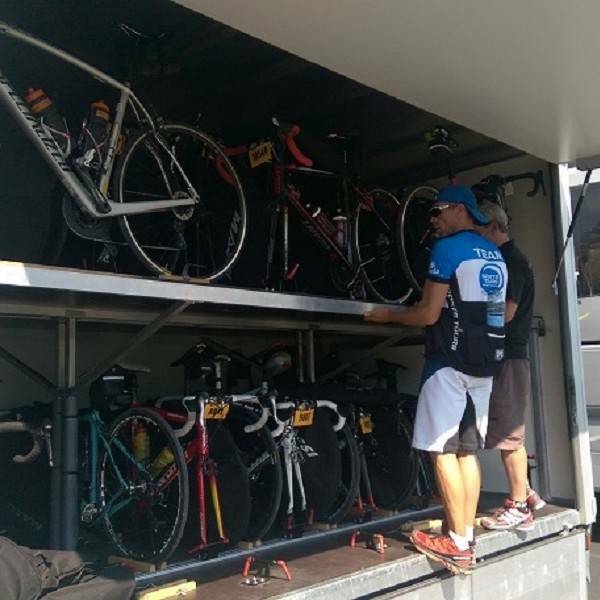 Our vehicles are equipped with trailers to transport your bike and luggage. 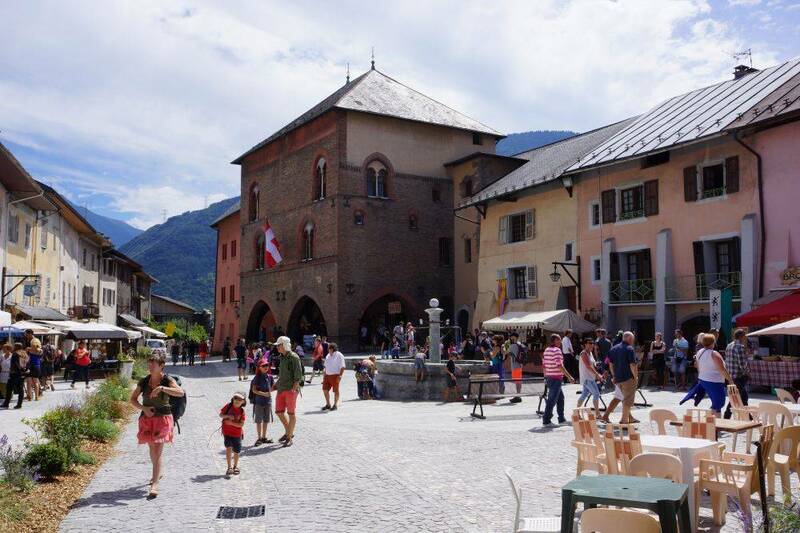 The transfer from Geneva to Albertville take about 1.5 hours and about 2 hours to the Moutiers area which is where most of our hotels are located. Our last transfer from the airport departs at 20:00, so please make sure your flights land far enough in advance of this time for you to go through passport control and collect your bags. Alternatively, the Eurostar direct from London/Ashford to Lyon takes less than 5 hours. From Lyon, it’s 3 hours direct/indirect by train to Moutiers, ideal for the Hotel Terminus. 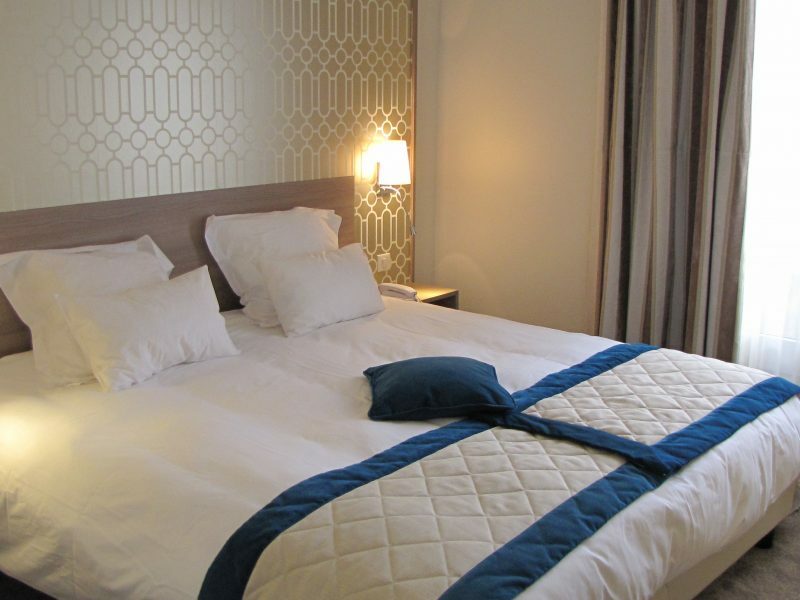 We have a wide selection of hotels available on bed and breakfast and half board basis. Please note that if you arrive late today then your evening meal maybe in the form of a cold plate as the restaurant maybe closed. Don’t forget travel insurance – Please visit our insurance page. 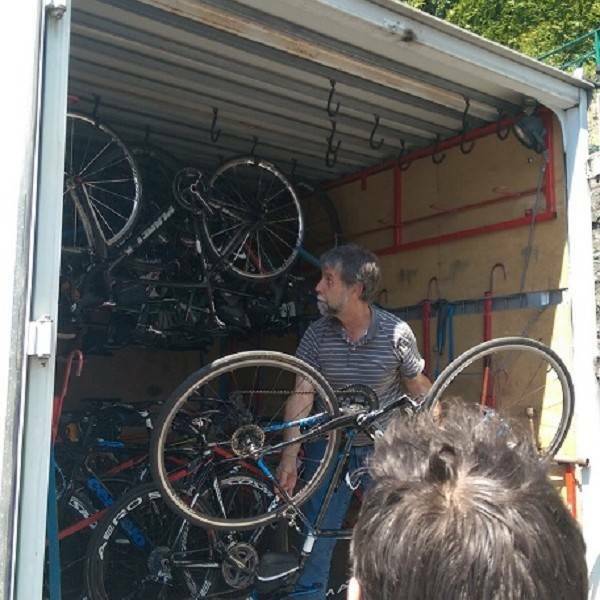 If you don’t want to fly with your bike then why not make use of our convenient door to door Overland bike transport service from mainland UK at £195 per bike. 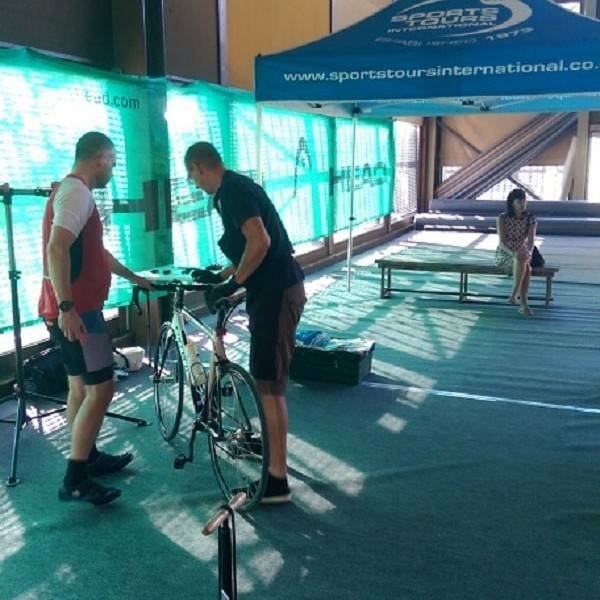 After breakfast, please make your way to the EXPO and registration area at the Halle Olympique in Albertville where you will be able to register for the Etape du Tour. 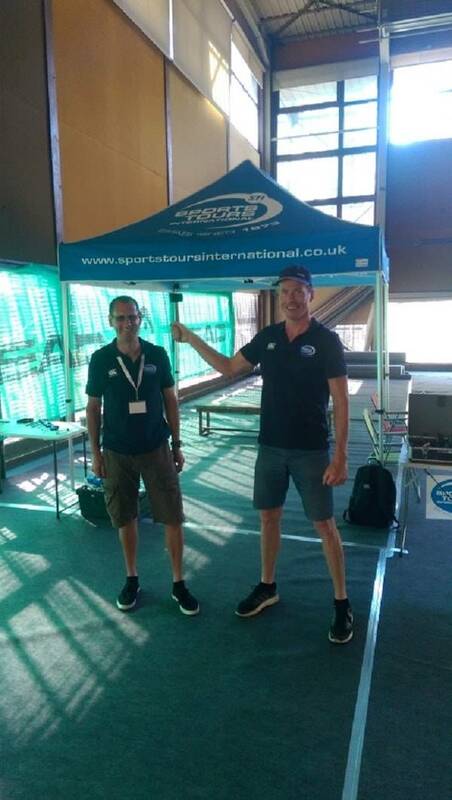 Sports Tours International have an expo stand in the Etape du Tour village and our staff are on hand to assist you where required. Today the logistics are slightly different depending on where you are staying. 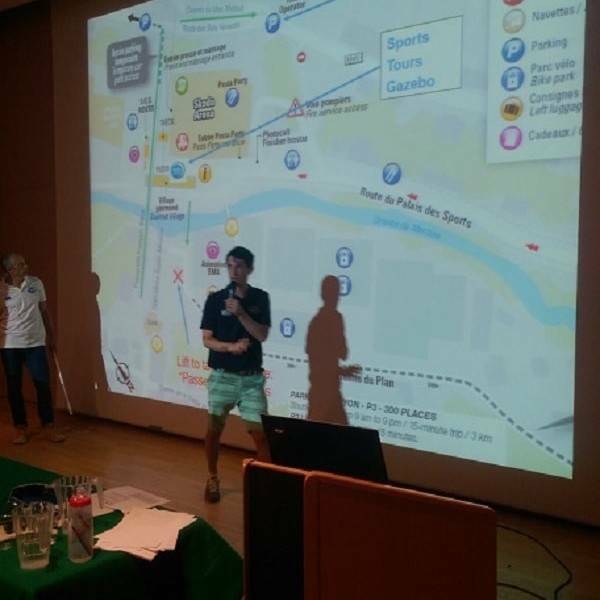 If you are staying at the hotel Le Savoie or the Parc de Jade in Albertville, then please make your own way to and from the expo today. 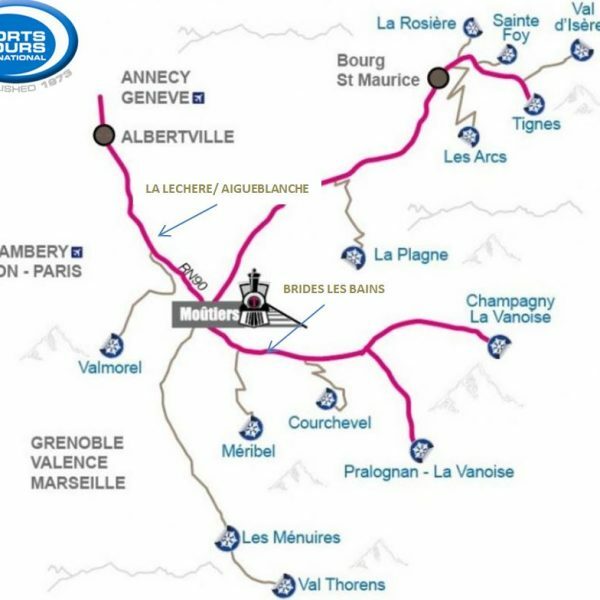 If you are staying in any of the hotels in these areas then we offer today a guided ride over to Albertville for you to test your bike and to spin your legs ahead of tomorrow’s big event. The distance is 25 to 35 kilometres depending on what hotel you are at on a mostly flat valley road. 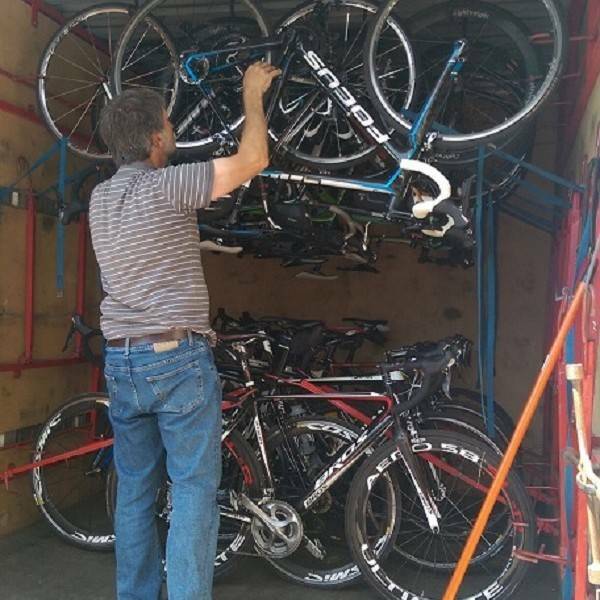 Once you get to the expo, you will store your bike with us in a secure overnight storage area and you will take our transport back to your hotel from the expo at set times later this afternoon. 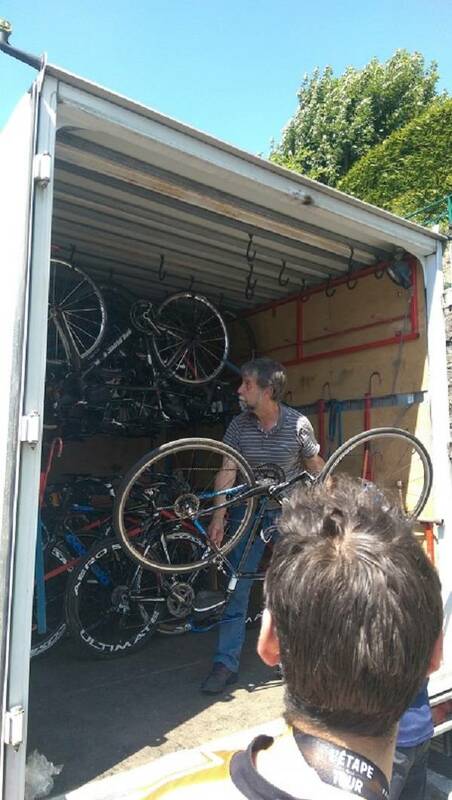 In the morning, we will bring you back to Albertville and you will collect your bike ahead of starting the Etape du Tour. 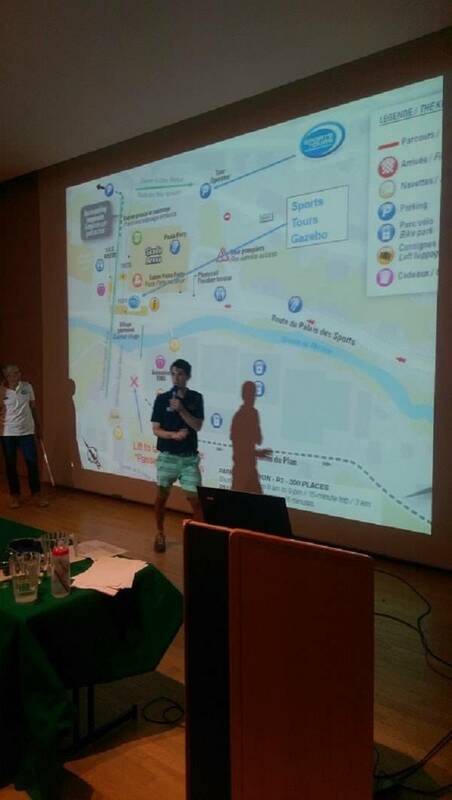 This morning those staying in Albertville can cycle to the start. 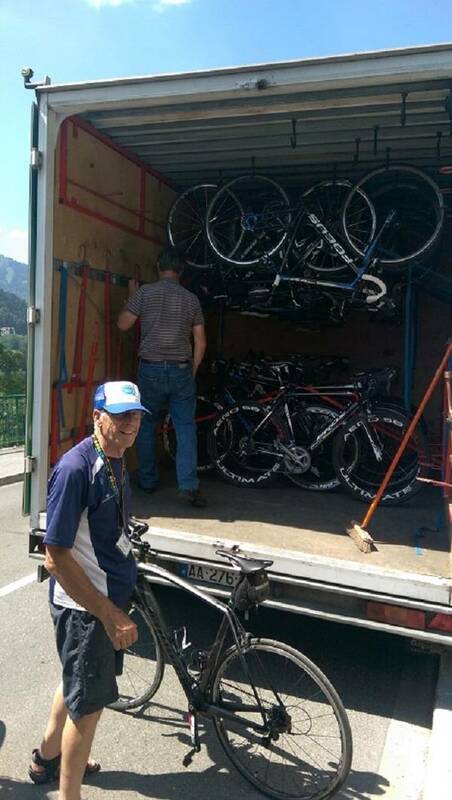 We will collect everyone else from their hotels without bikes as all bikes will be stored overnight in Albertville. Wear some comfortable light shoes and clothes which you can hand to us in Albertville before you start. You can use the drawstring bag that we provide to you for this. We will hand this back to you at the finish in Val Thorens so please don’t put too much in the bag as you will have to cycle with it on the descent back down from Val Thorens. 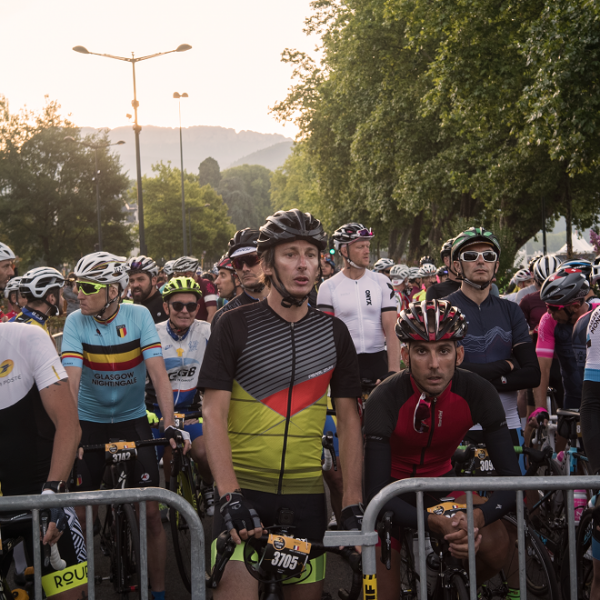 We anticipate a 07:00/08:00 start for the Etape, so we have organised early breakfasts at all hotels so you can get to the start early to ensure everyone is lined up in the right pens for the start. 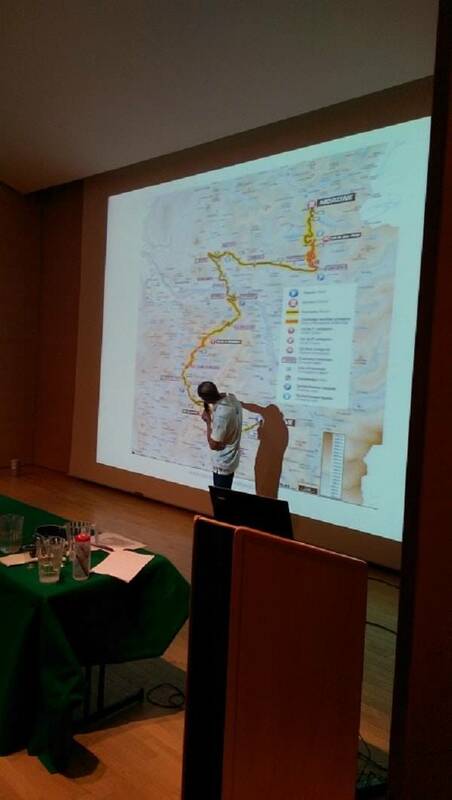 The organisers allocate pens according to likely finish time and historic Etape performance, therefore faster riders start nearer the front and the slower riders at the back. Please note, we have no influence over your starting pen. 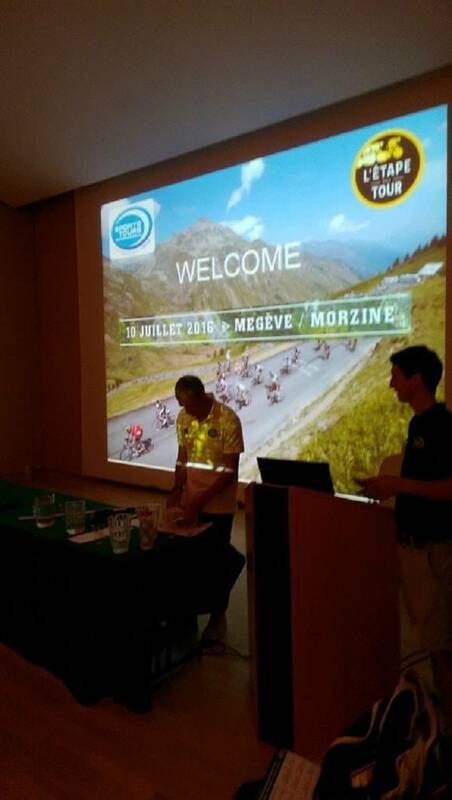 The Etape du Tour is a closed road sportive. 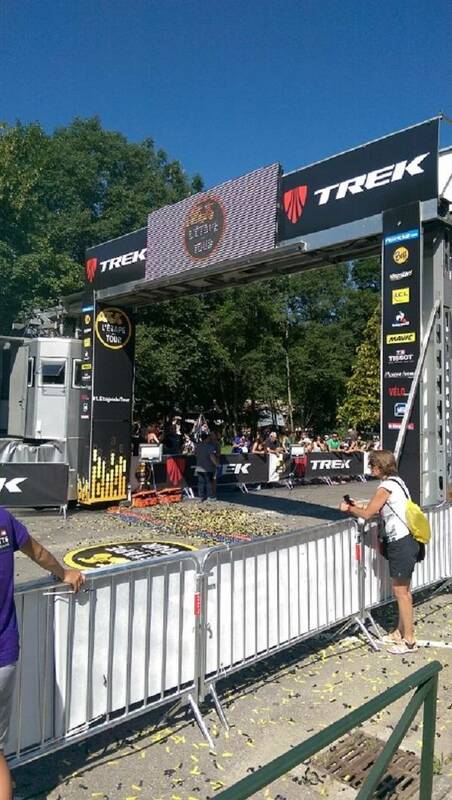 There will be water stops en-route and mechanical assistance provided by MAVIC. 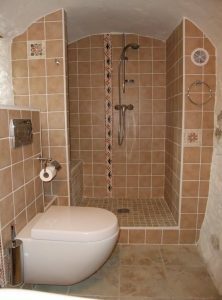 Along the route, there are certain times that you must have passed certain spots. 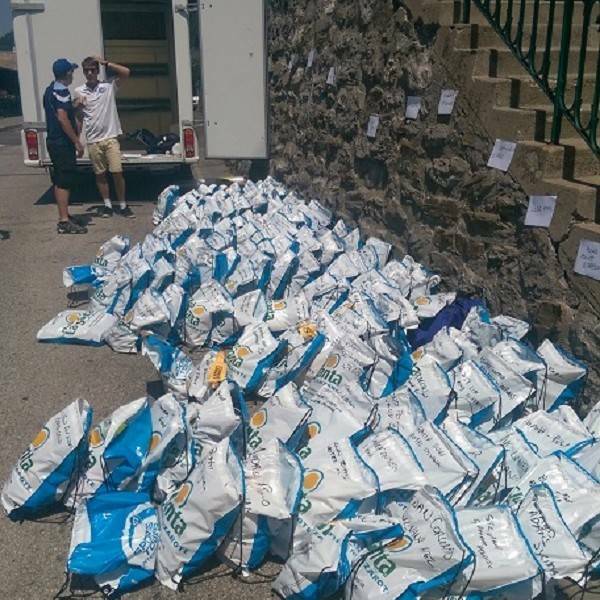 Especially for Sports Tours international riders there will be additional food and assistance points on the route which give you better access than at the normal feed stops. 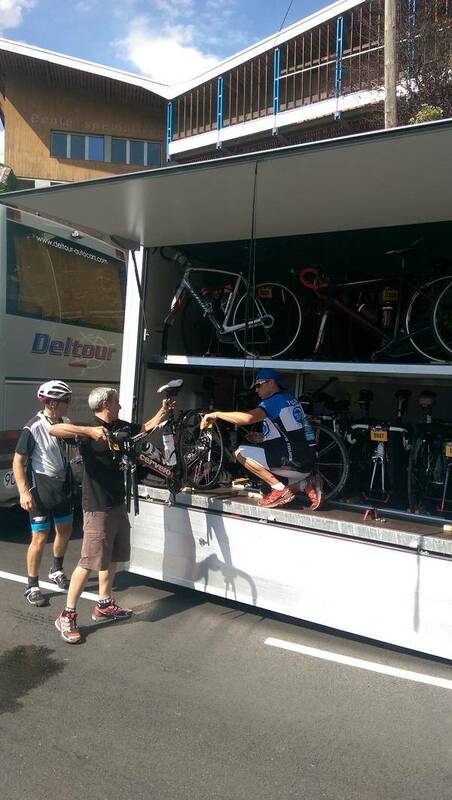 many of our riders actually use just our feed stops and avoid the official ones. 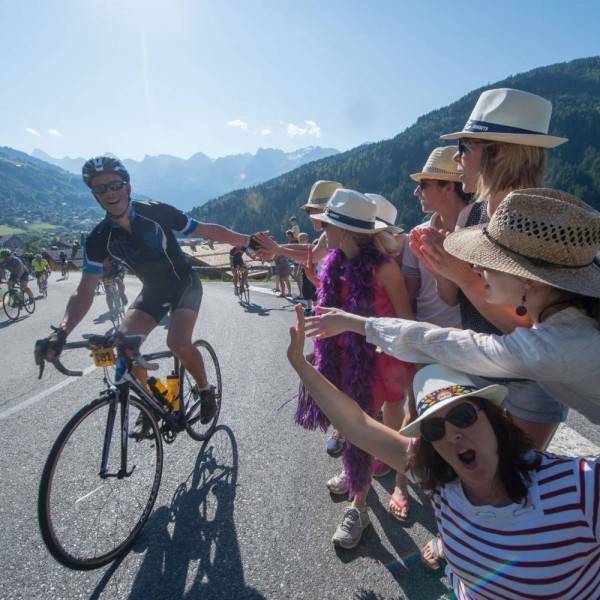 On the 2019 Etape du Tour we will provide at least 2 private feed stations plus a reception area at the finish where you can sit and recover whilst you have something to eat and drink. 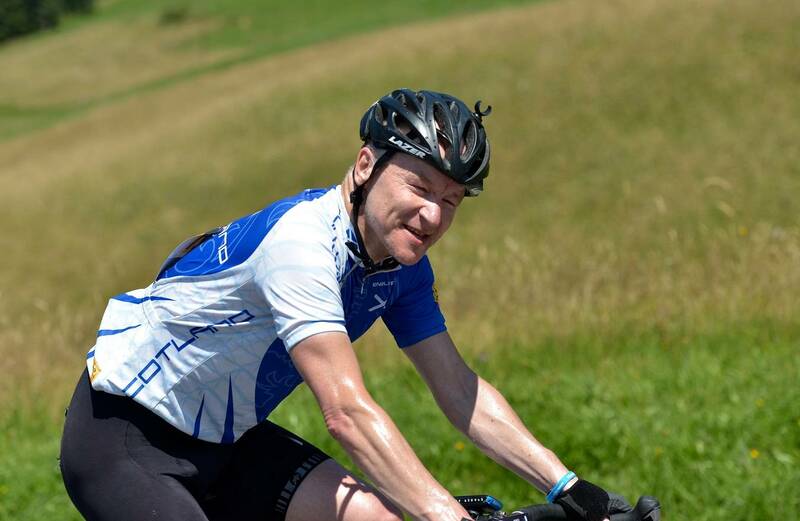 At the finish we’ll ensure that there is plenty of savoury food and maybe even a couple of beers as you’ll have had enough of all the sweet stuff! 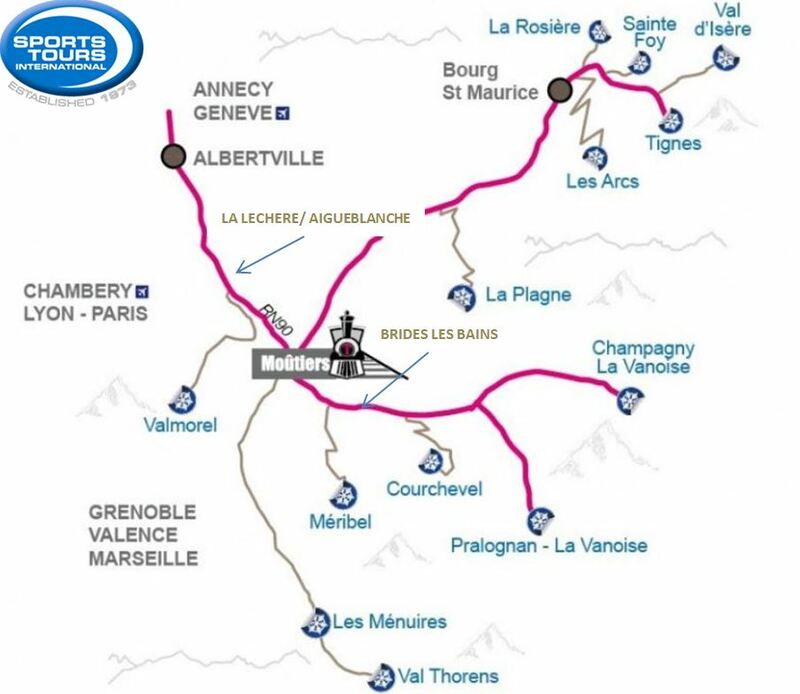 As many of you will not be staying in Albertville it will be too far to ride to the start. You’ll be doing enough cycling already so we will provide a bus transfer. 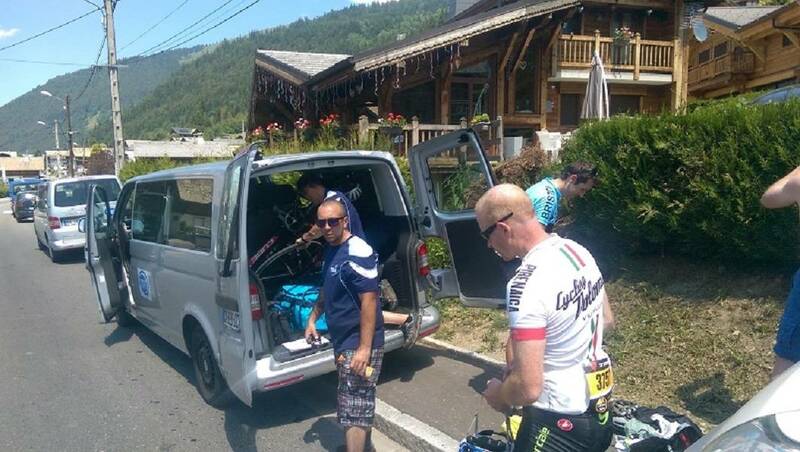 It makes sense to wear some comfortable shoes and clothing over your cycling gear for the bus journey. 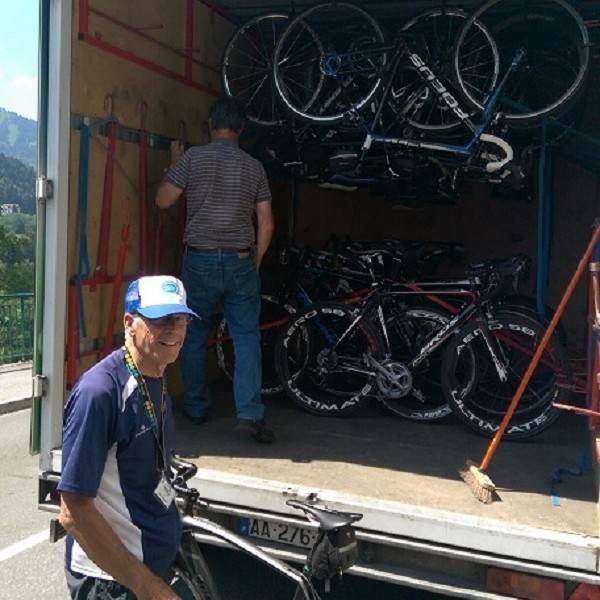 When you get on your bike in Albertville we give you the option to hand us a bag with all your items of clothing. It’s available for you at the finish in Val Thorens so please don’t overload it as you need to either wear it or carry it on your ride back down. The finish is in the ski resort of Val Thorens. 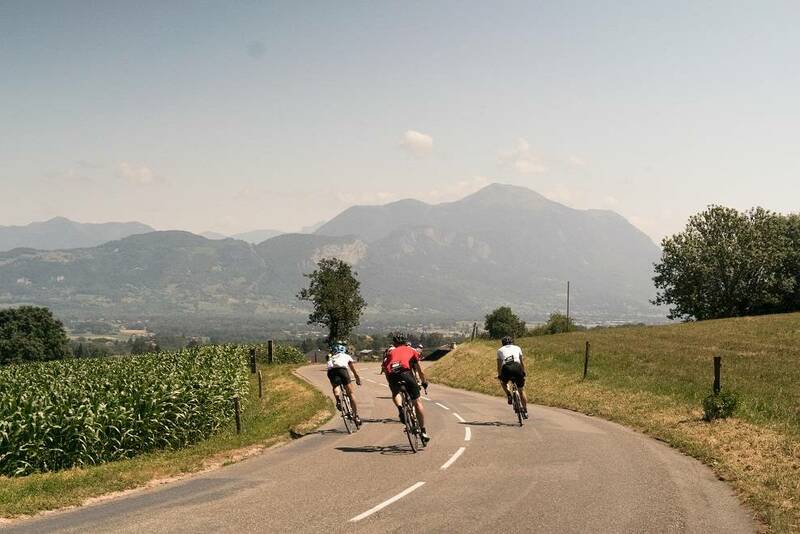 The route of the Etape du Tour will take you up a side road but this road will re-join the main access road at about 11 kilometres from the finish. As this is the only road to Val Thorens, the road will remain closed for cars until after the finish of the Etape du Tour for security reasons. 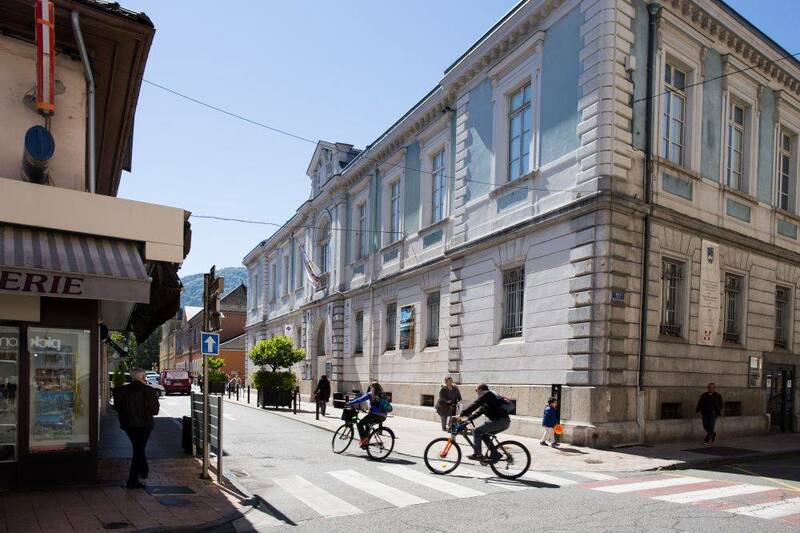 It is however possible to descend back down the main road as a two-way system will be put in place for cyclists only. 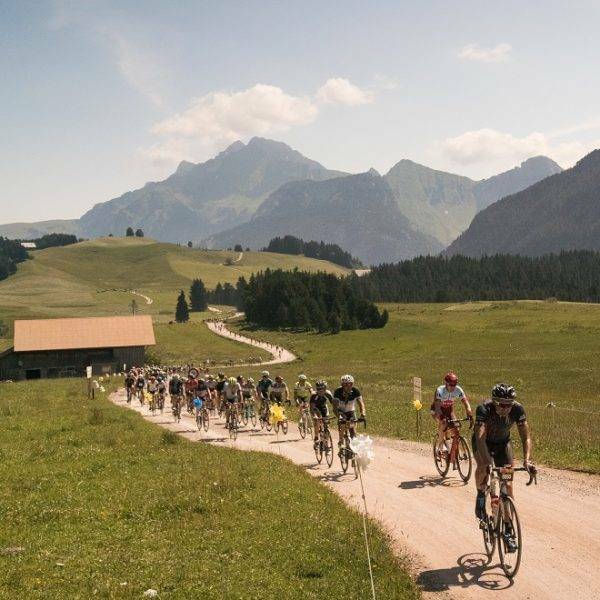 At the finish, you will be able to enjoy the usual food and drink and this year there will also be a Sports Tours International welcome area where you can park your bike (at your own risk) and we will offer you some food and drinks so you can recover before you descend back down the hill. Depending on where you are staying, you can either descend straight back to your hotel or take our transport back. 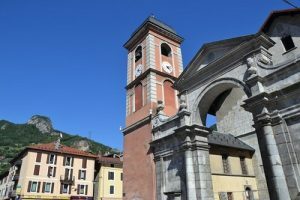 For those who are staying at hotels in Moutiers and Brides Les Bains, you can descend back to your hotel whenever you want. 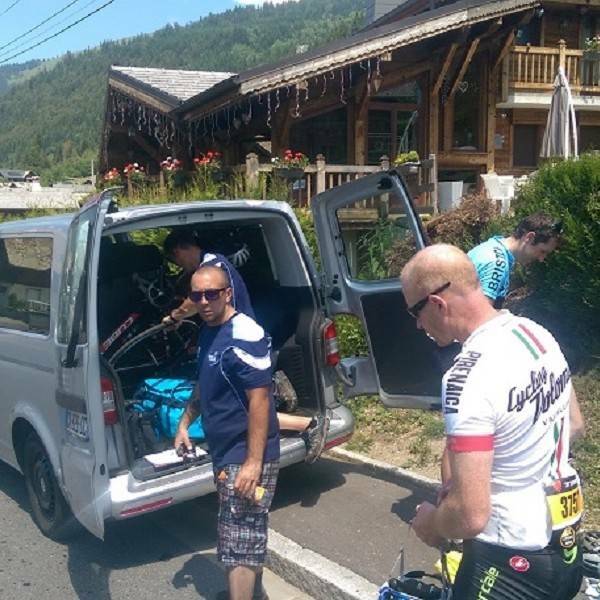 For those who are staying with us in La Lechere, Aigueblanche and Albertville, we will provide transport for you and your bike back to your hotels. 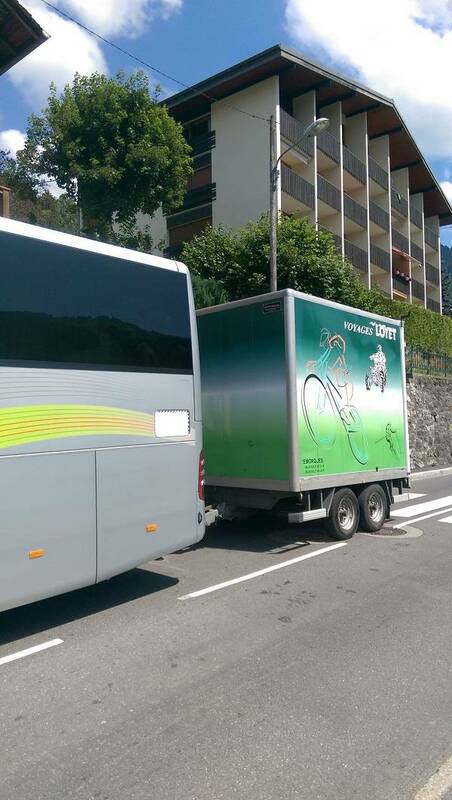 We have secured a parking space on the main road down from Val Thorens where our buses are parked. For those who have booked hotel packages with the evening meal included, we will ensure that there is a later meal time tonight. 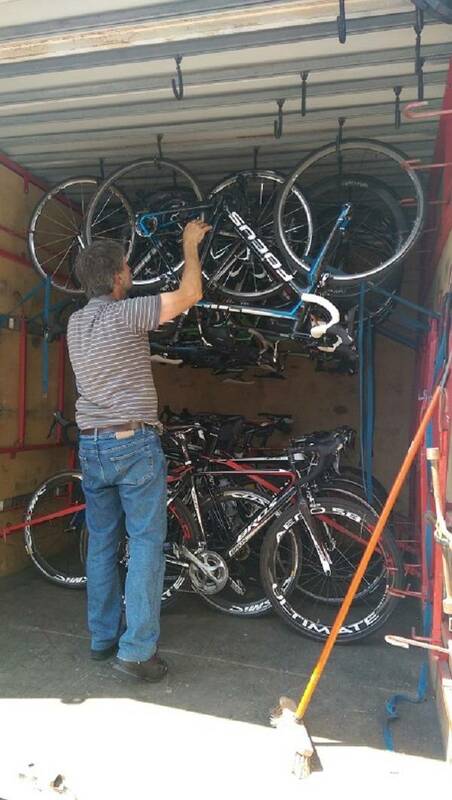 If you have booked bike rental or our overland bike transport service then your bike will be collected back from you this evening. After breakfast we will start running transfers back to the airport. If you are making your own way home, you will need to leave the hotel mid morning. Our earliest airport transfer is at 06.00 for flights departing after 10:00. Please note that if you book a flight earlier than 10.00 we cannot provide an airport transfer. The Hotel Savoie welcomes you in a warm family atmosphere. The reception, renovated two years ago, takes on the appearance of a library where contemporary arts and the arts of the past mingle. 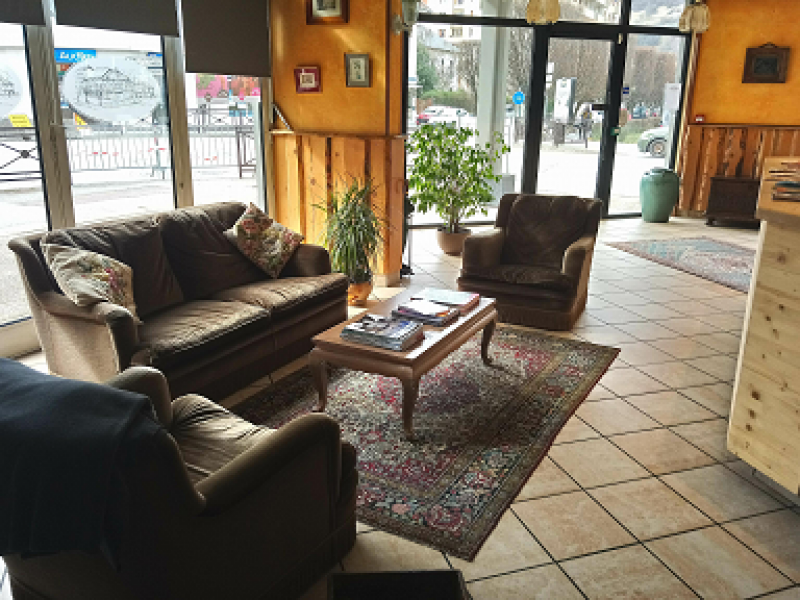 The small lounge offers a moment of relaxation, to sit back and enjoy a coffee. 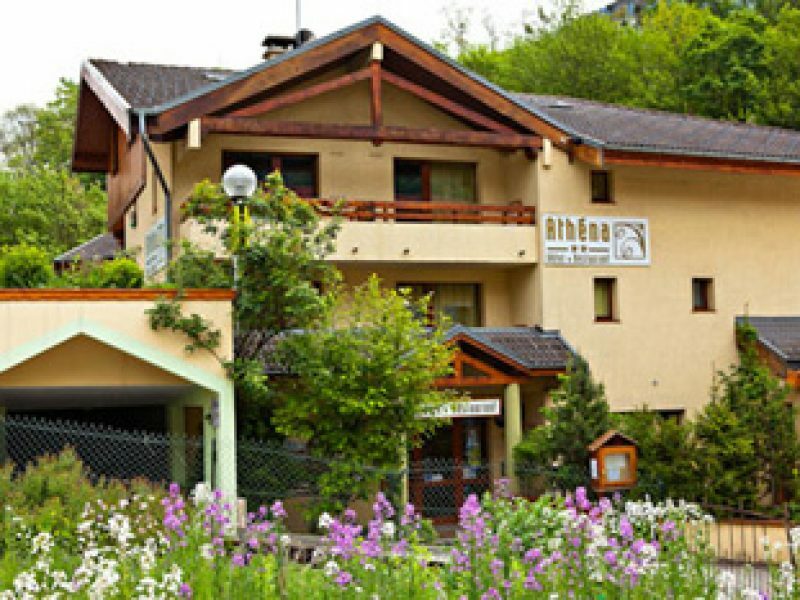 Hotel Savoie has 28 rooms, and each room has private bathroom and toilet, as well as a hair dryer and flat screen TV. WiFi is free and available in all rooms. 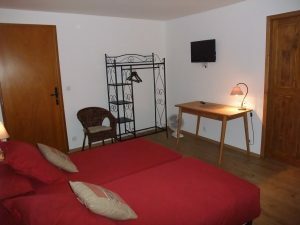 Your stay here is on Bed & Breakfast basis, and the central location means there are plenty of restaurants nearby. 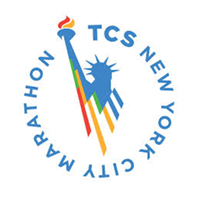 Saturday – Ride the short distance to the event expo and registration. 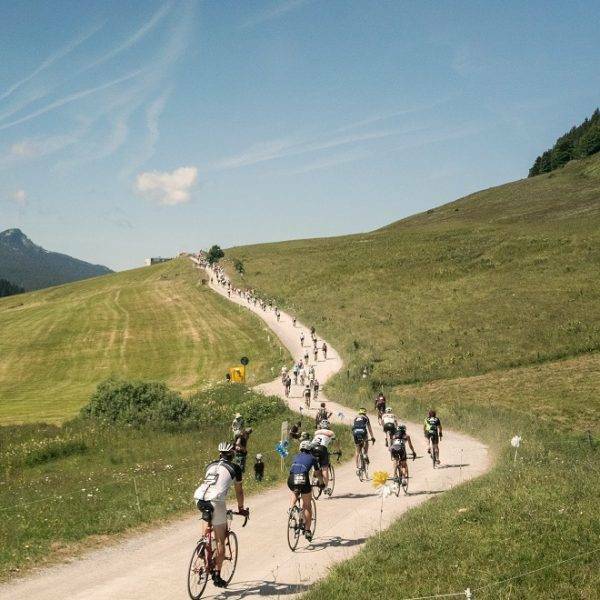 Sunday – Ride to the start and ride the Etape du Tour. Take our transfer back to Albertville from Val Thorens. 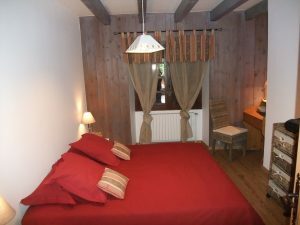 Welcome to Hotel Inn Design Moutiers. This hotel was previously a hotel Ibis. 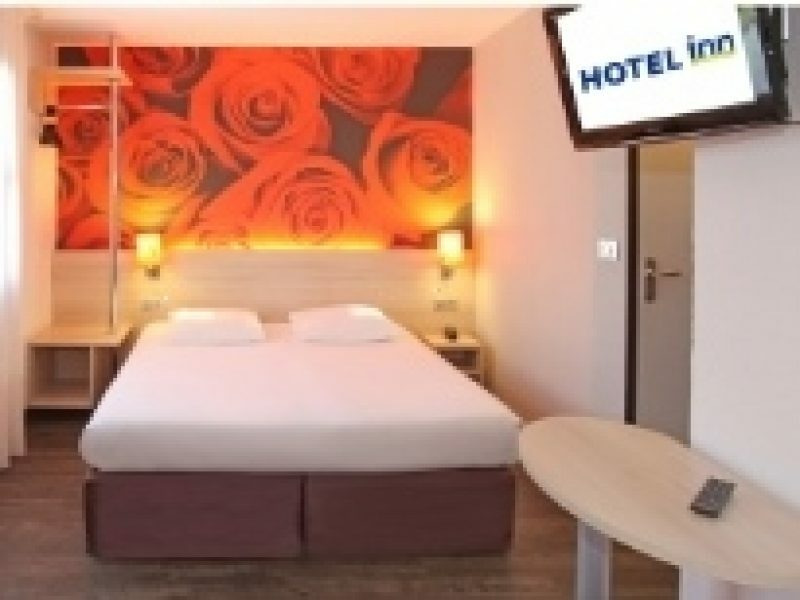 The hotel Inn Design is a basic hotel which is located at approximately 25 – 35 kilometres from both Val Thorens and from Albertville. The hotel is 7 km from the thermal resort of Brides Les Bains. 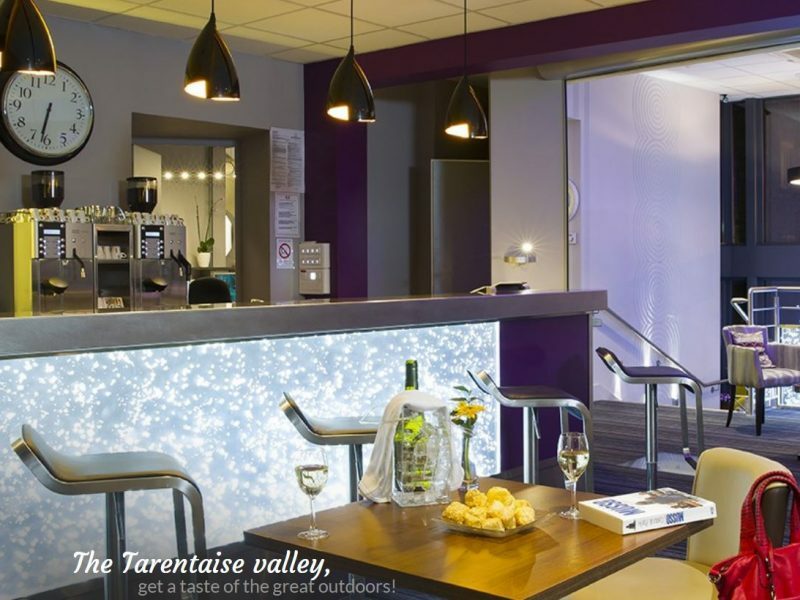 The finish town of Val Thorens is 35km away and the train station and the city centre of Moutiers are just 1.5km away from the hotel. 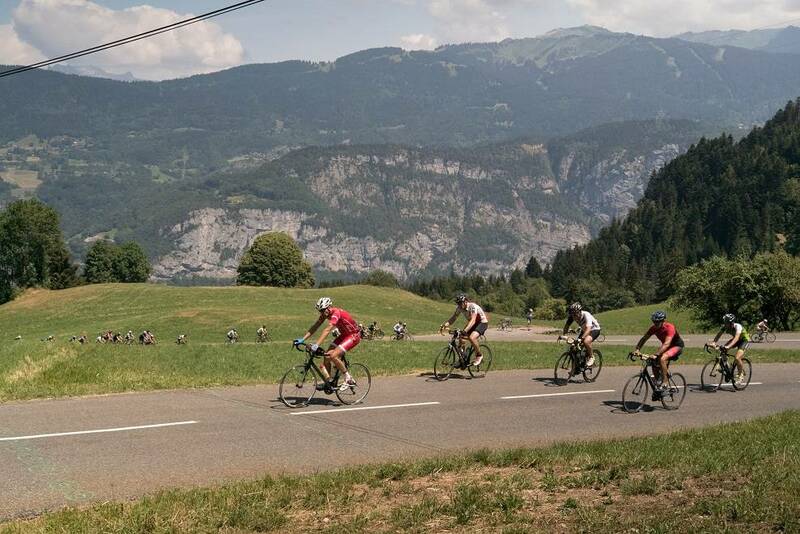 Albertville is at about 25km from Moutiers so ideal distance for a warm up ride to registration on Saturday. 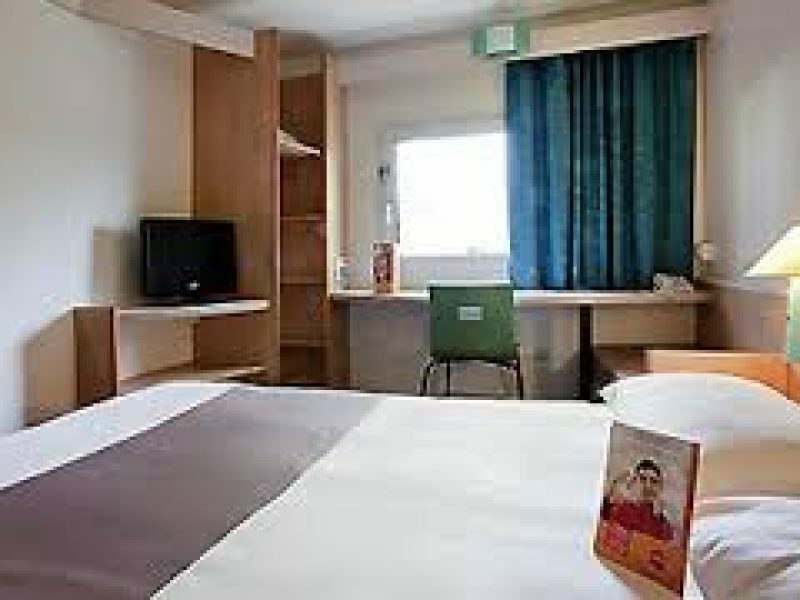 The Hotel Inn has 61 modern, functional and comfortable rooms, all with en-suite bathroom, WiFi and flat screen TV. 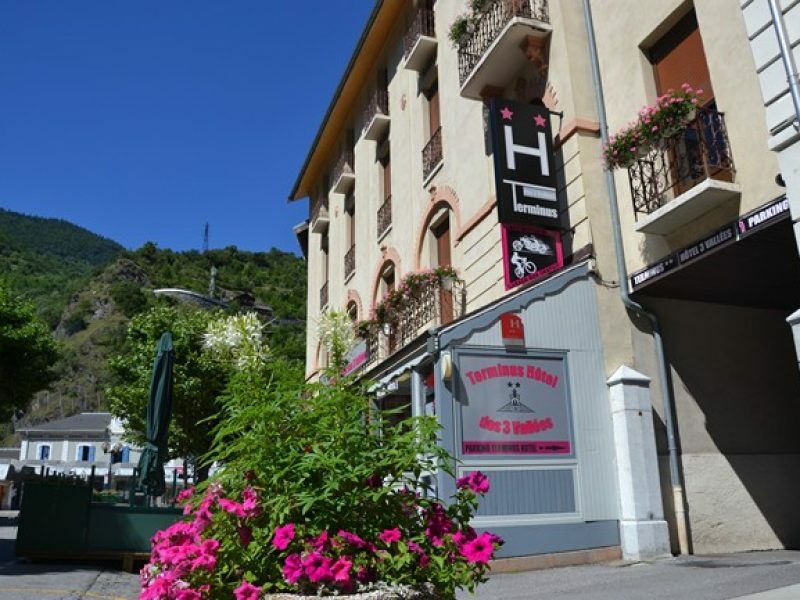 The hotel is situated up a slight hill overlooking Moutiers. 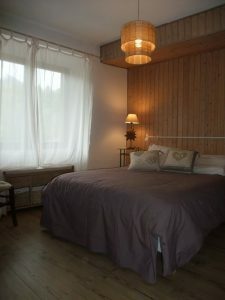 Your stay here will be on a half board basis with breakfasts and evening meals included. 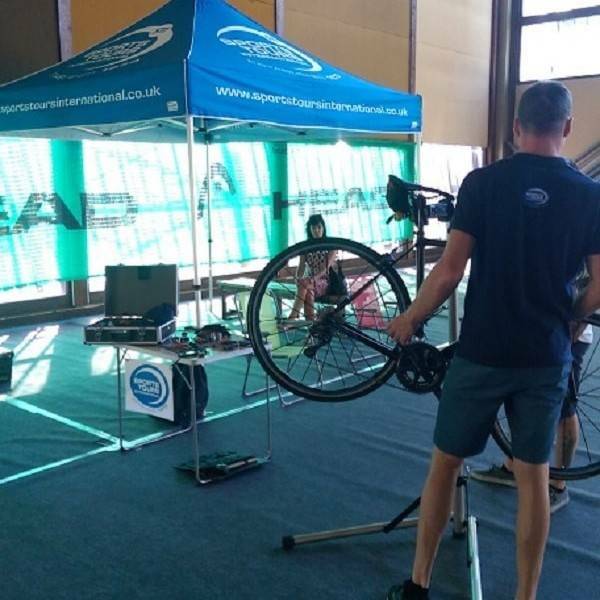 You can store your bike at the hotel and we will have a bike mechanic on-site at the hotel to assist you with your preparations. 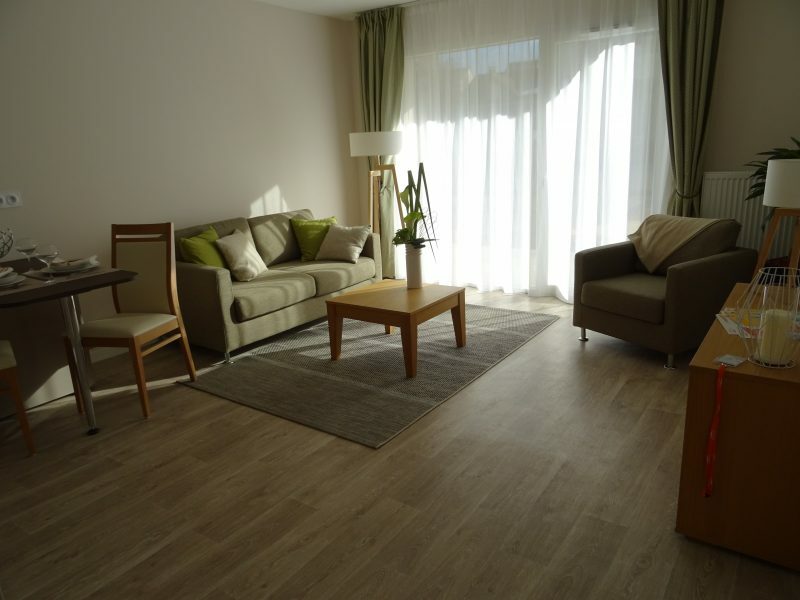 the hotel has a large free parking which is free for all residents and your stay includes free WIFI. There is a large lounge and bar which has views overlooking the valley and you can also make use of the large outside terrace. 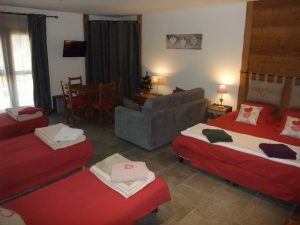 Moutiers is located at the foot of the climb to Val Thorens, as well as serving several other famous local climbs and ski resorts. 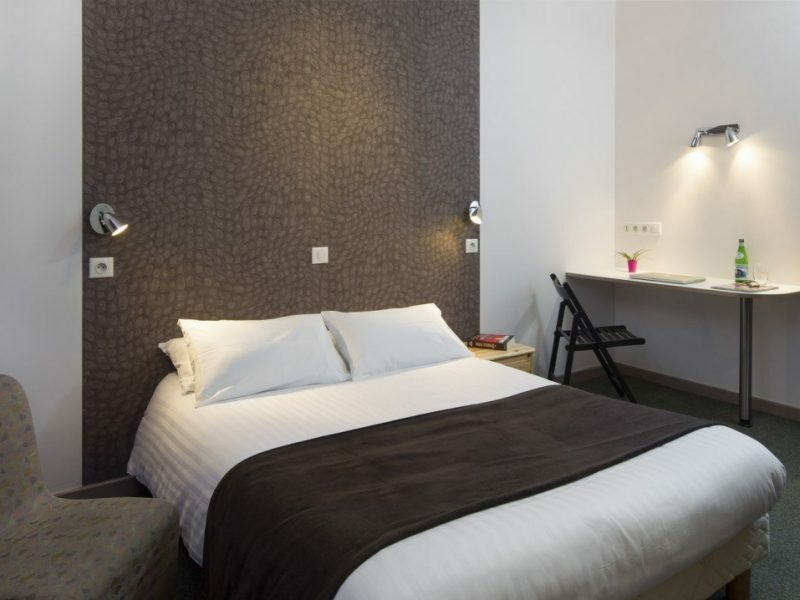 This hotel is ideal for those looking to arrive by Eurostar. There is a direct train from London/Ashford to Lyon, which takes less than 5 hours, from where you can get direct & indirect trains to Moutiers in just 3 hours. Dating back to the 19th century, the Terminus Hotel and its 26 rooms have been fully renovated and offer all the comforts you could need. 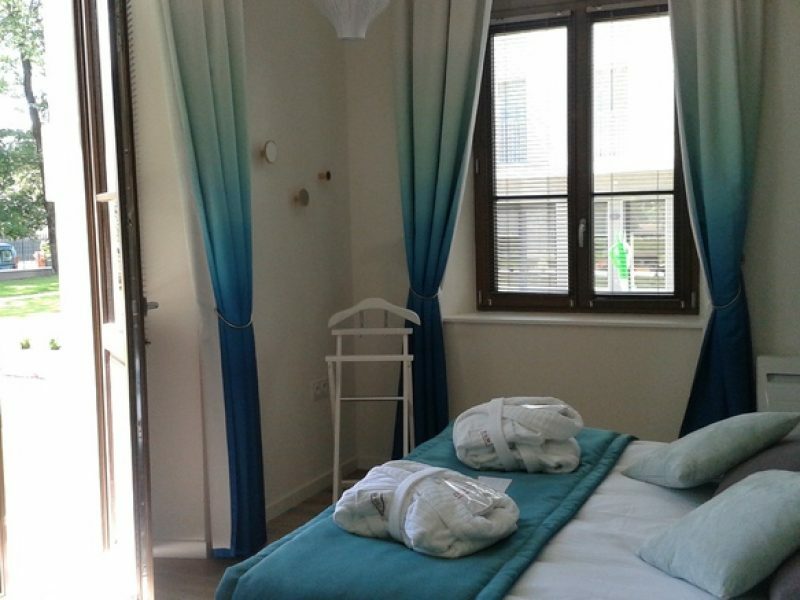 You’ll find a professional and homely feel at the family-run Terminus Hotel. 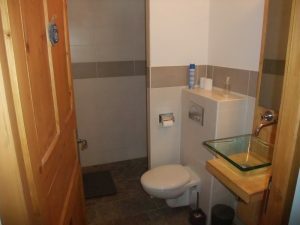 All rooms have en-suite bathroom and free WiFi. 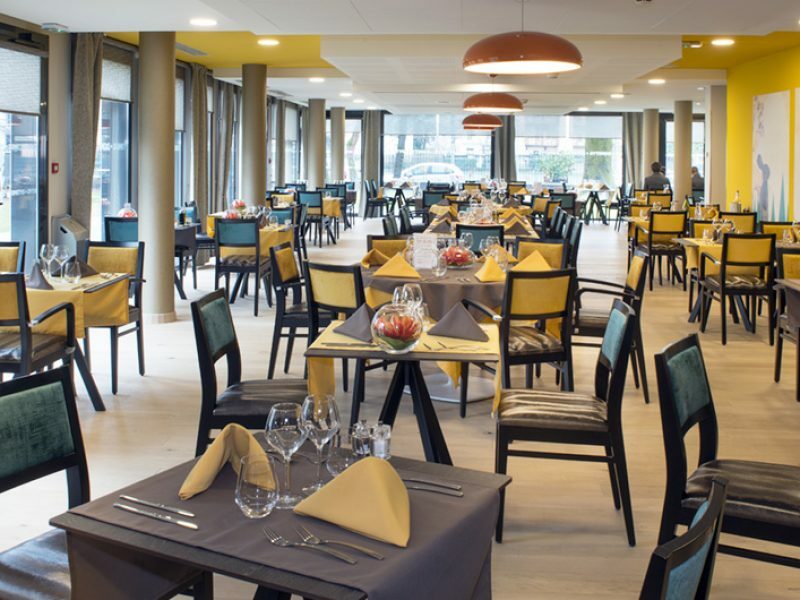 The 3 * hotel Radiana is located in La Lechere, between Albertville and Val Thorens. 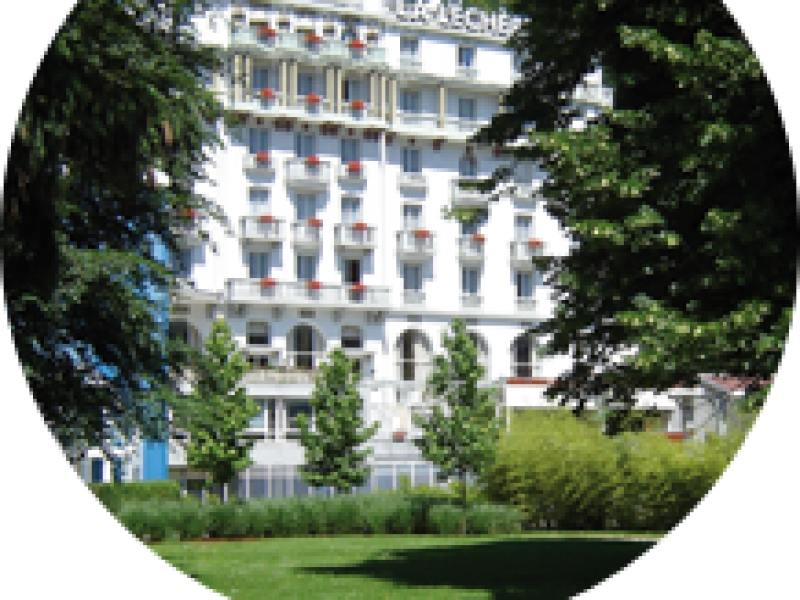 The water of La Léchère is very rich in minerals, which makes it a Spa and wellness destination. Many people come here to enjoy health cures. 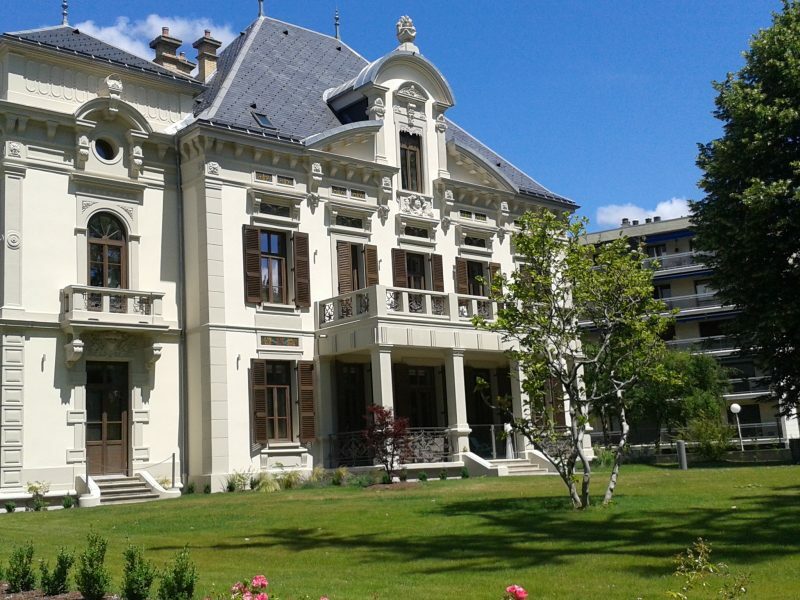 The Thermal complex of La Léchère also houses the Research University Center of La Lechere. 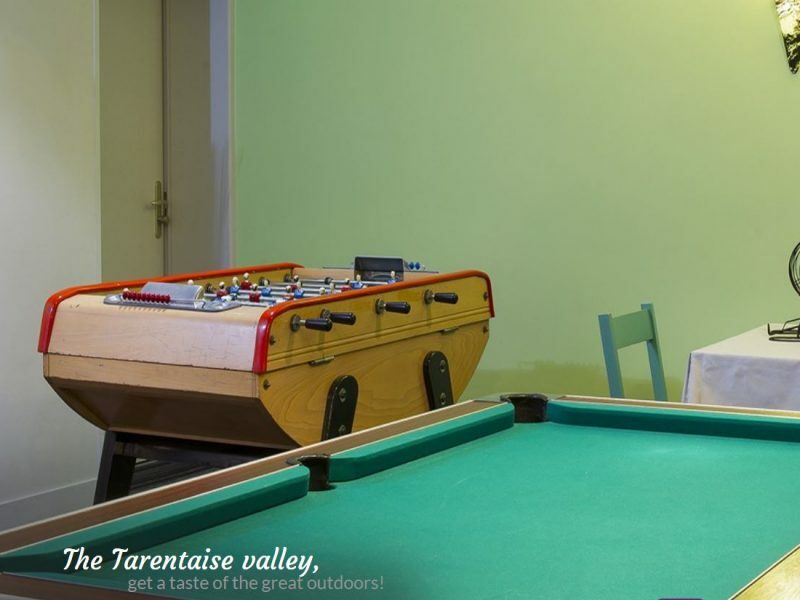 At the crossroads of the massif of Beaufortain, La Lauzière and Vanoise, the vallées d’Aigueblanche offer a wide variety of outdoor activities, with many different atmospheres and tremendous landscapes. 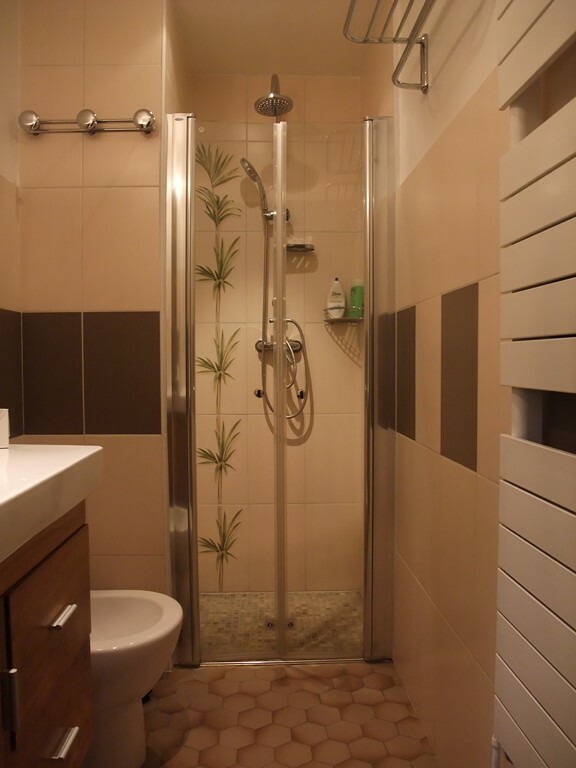 Get seduced by its charm and personality! 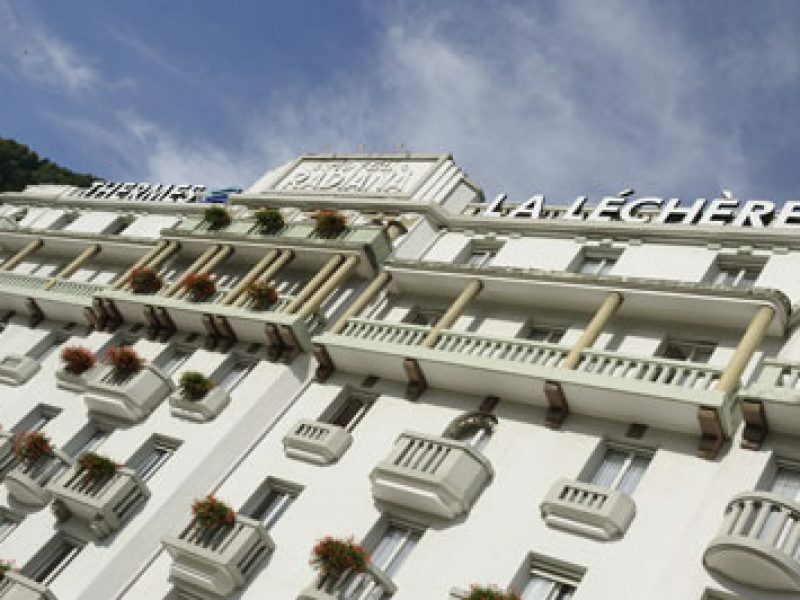 108 rooms in a building in the style inspired splendor of art deco and modern 4 buildings with 28 rooms suite with a terrace overlooking the park. The project is in a green area of mountains. than ever surrounded with more comfort. The reception, bar and restaurant are integrated into the main building. Breakfast is served in the restaurant and consists of traditional elements enriched with specialties from our restaurant, cheeses and sausages from our mountains. Direct access to the bathing of all rooms and wellness area from the rooms of the main building. Our stay here is on Half Board basis, with breakfast and evening meals included. 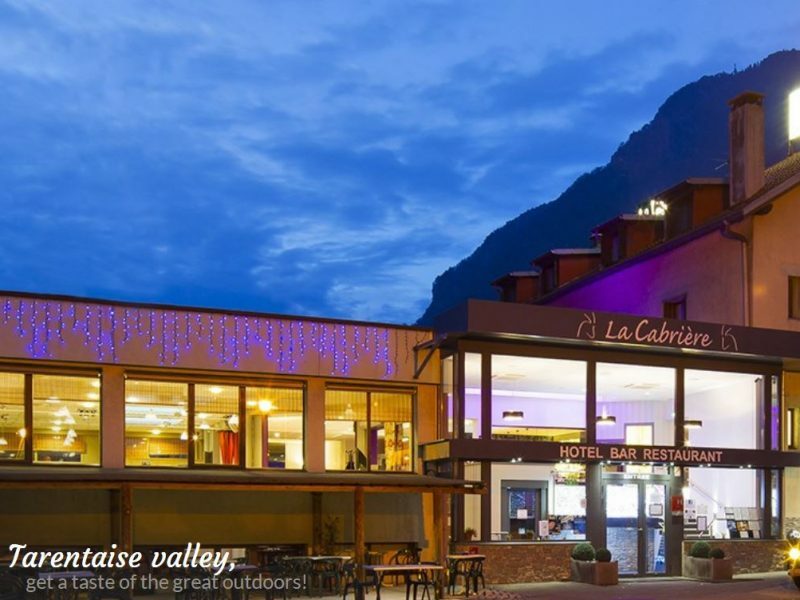 La Cabriere is a very good quality 2* hotel in La Lechere, between Albertville and Val Thorens. 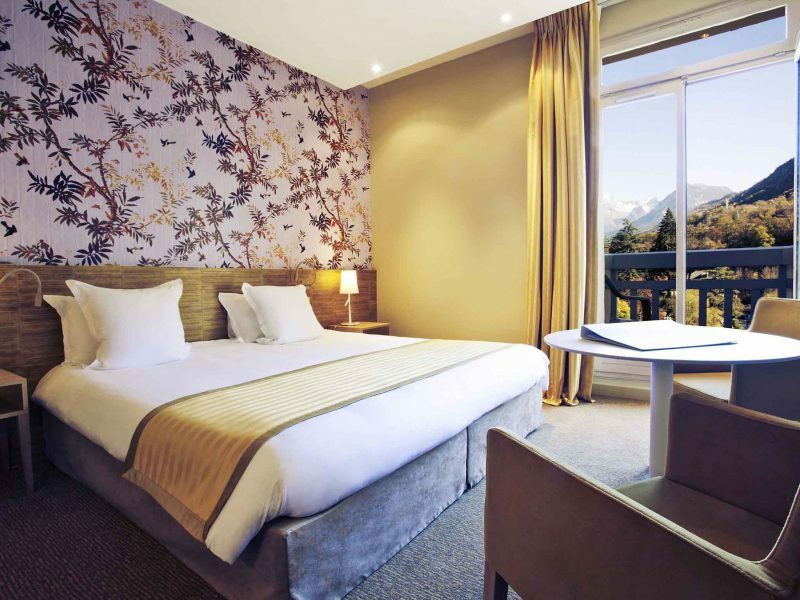 Make yourself at home and we’ll take care of the rest at our hotel by the ski resorts of the Savoie – the perfect place to stay for your holidays at the heart of the mountains! At hotel La Cabrière, the secret to a great holiday lies in the details. 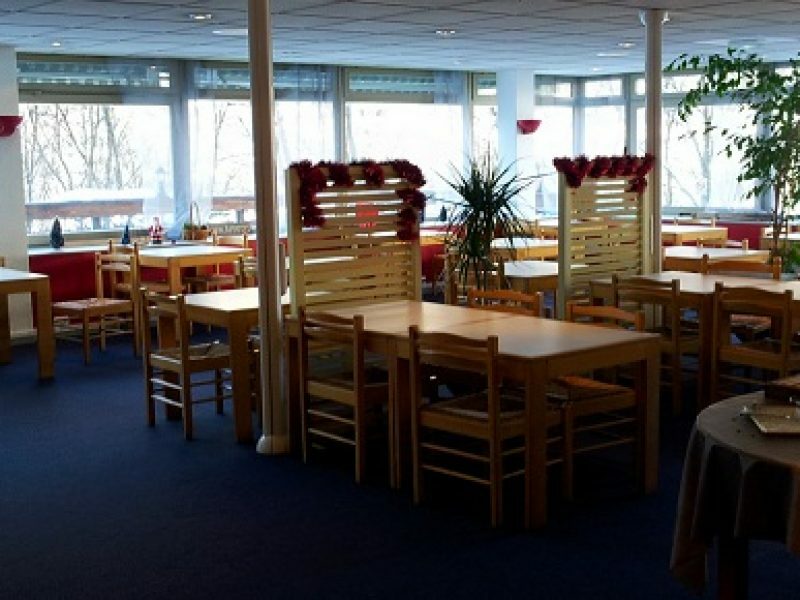 The décor is minimal, but cosy and colourful, the garden is well-kept, the cuisine authentic, and we provide a multitude of services which will make all the difference. 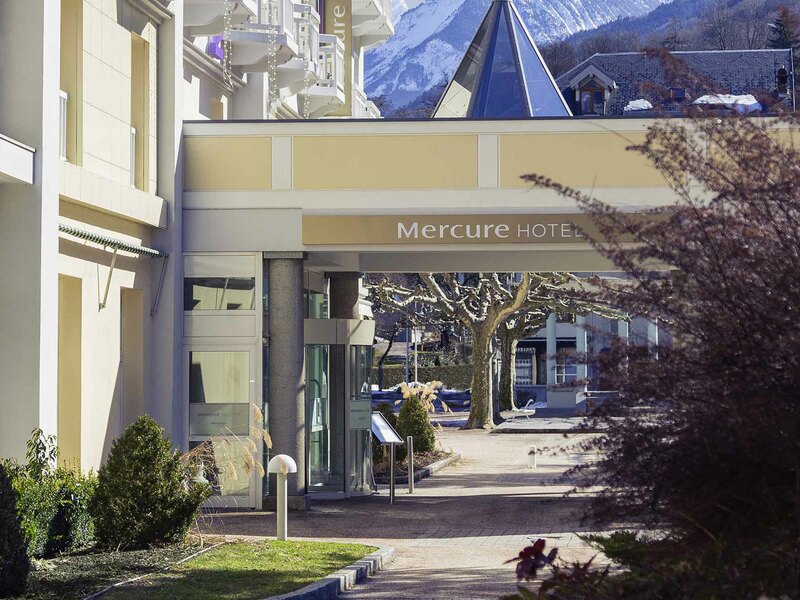 Relax in the comfortably furnished lounge, enjoy a drink at the bar and connect to the Wi-Fi network in every room: everything is in place for you to enjoy the mountains in the best possible conditions. Come enjoy the home made cuisine, and friendly, relaxed atmosphere. Good times await in the restaurant, the bar and the lounge! The Vocanson family has run La Cabrière for over 25 years. For them, it is a point of pride to ensure you have everything you need during your holiday or business trip. La Cabriere is known for its home made cuisine and friendly, relaxed atmosphere. The hotel has a restaurant with piano, fireplace, and extended terrace in a garden with swimming pool. There is a bar lounge with a giant screen, as well as a reading lounge, all in a stylish, classic decor. Spa treatments with hammam, sauna, heated swimming pool and hot tub have been entrusted to the Cinq Mondes brand (payable locally). 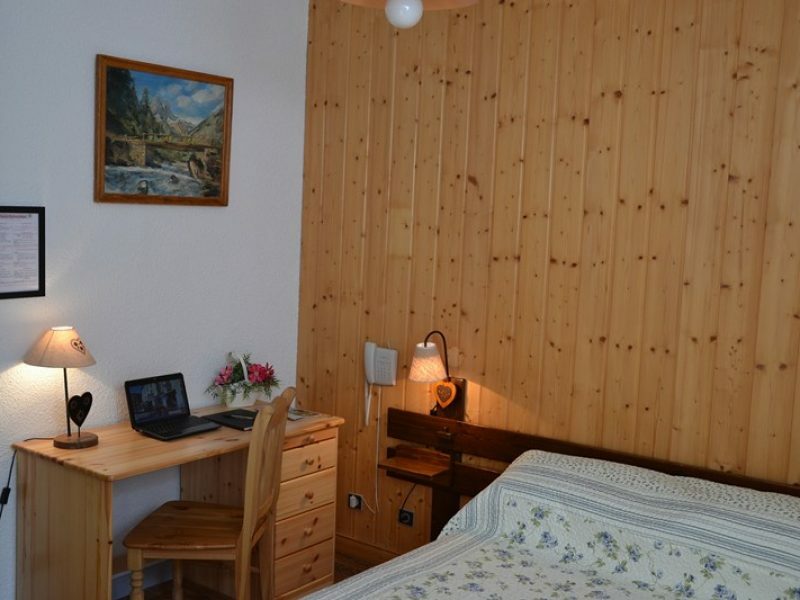 Your stay here is on Half Board basis, with breakfast and evening meals included. 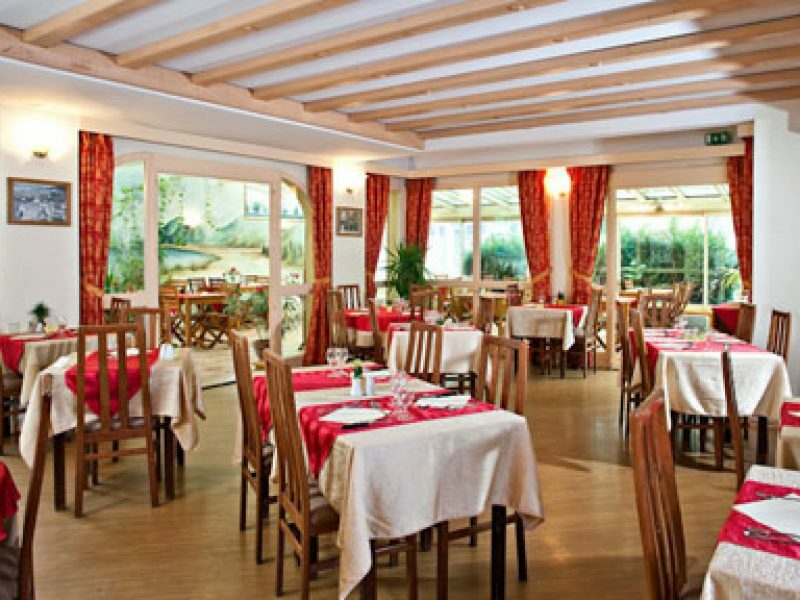 With a French-style ceiling with exposed wooden beams, the large restaurant room is warm and inviting. 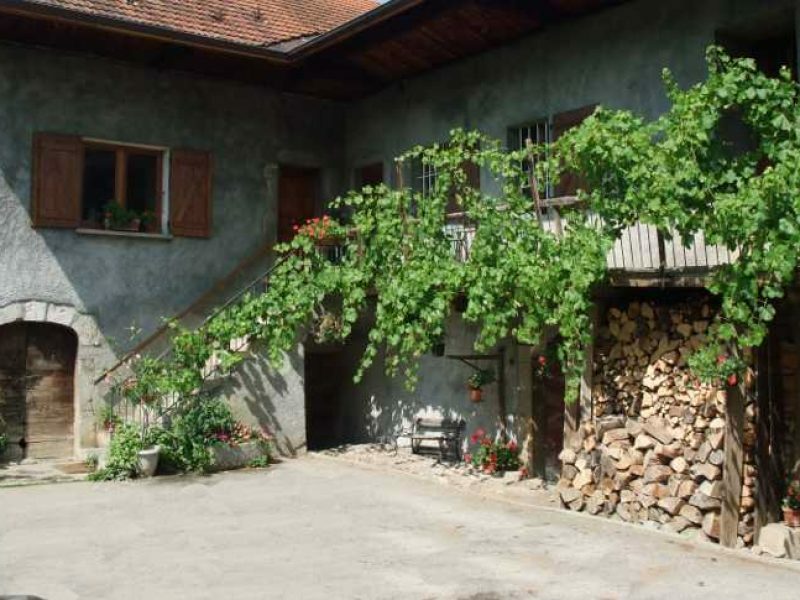 Traditional specialties in the winter and healthy or gourmet dishes in the summer. Chef Thierry Giannini prepares dishes based entirely on fresh produce. 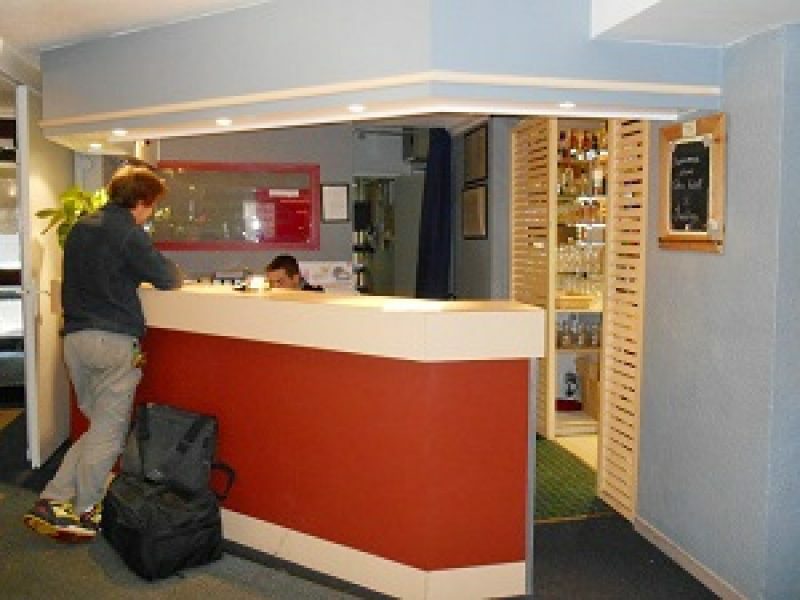 This small 30-room hotel has a warm ambiance and friendly personal service. 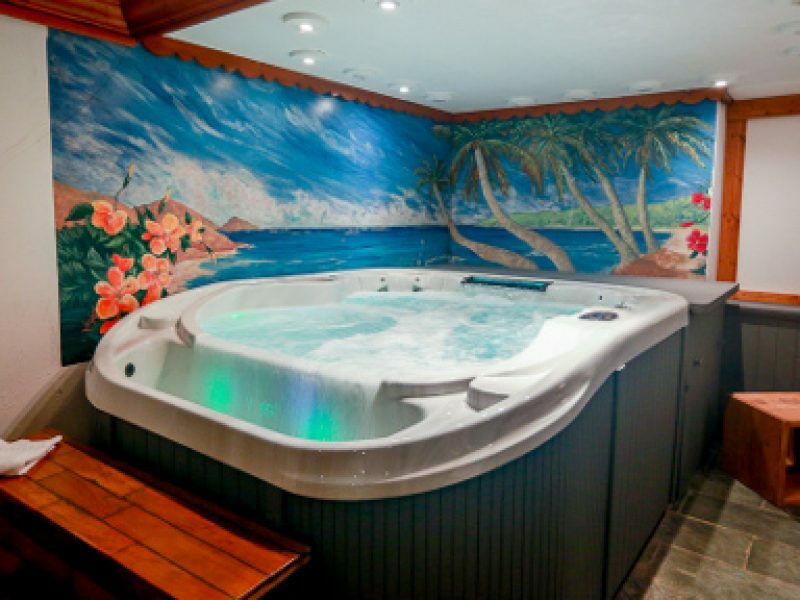 The hotel is the ideal place to prepare for your ride and to recover in relaxed surroundings, with a wellness suite boasting a sauna, steam room and jacuzzi. 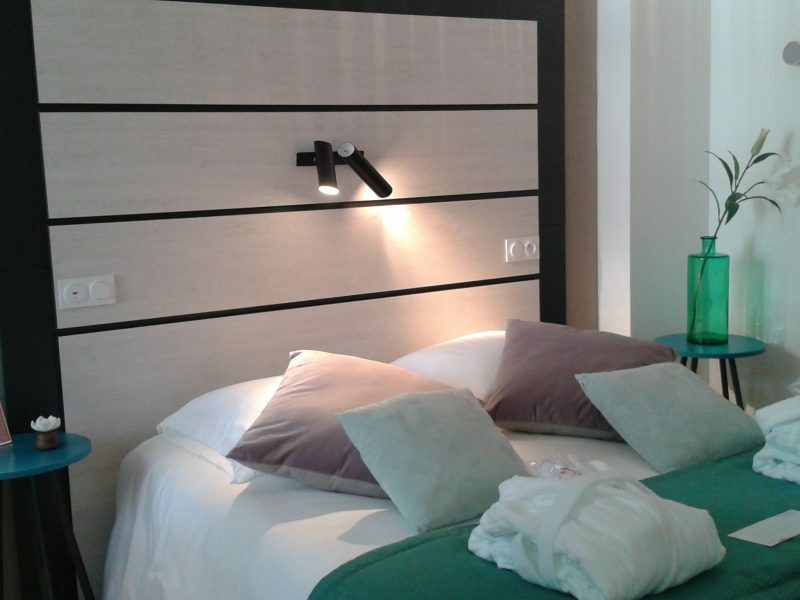 All rooms are equipped with LCD flat screen TVs, free WIFI in all rooms, and en-suite bathroom. 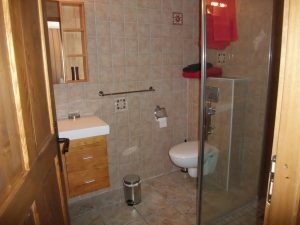 All rooms are accessible by the hotel lift. PLEASE NOTE – THERE IS NO OFFICIAL STAR RATING FOR THIS HOTEL, OUR RATING IS USED ONLY AS A GUIDE. 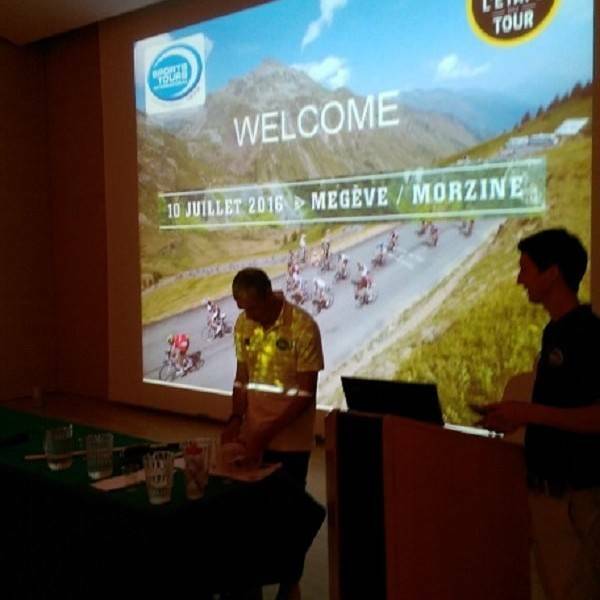 Albertville is the start village for the 2019 Etape du Tour, and last hosted the Tour in 2018. 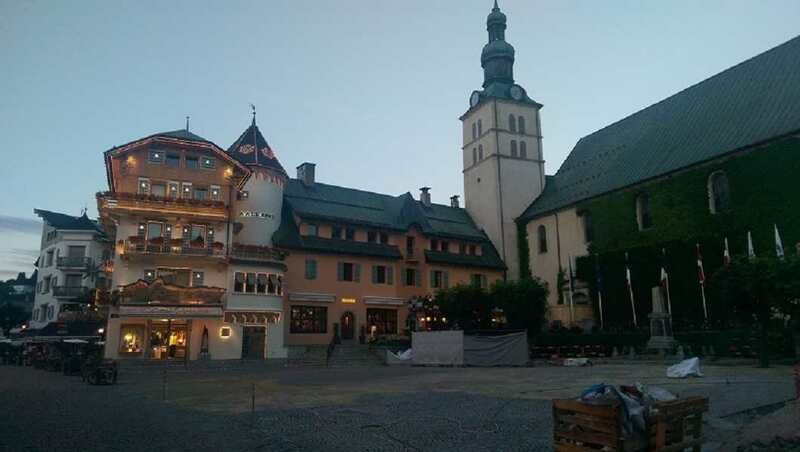 The town is known for hosting the 1992 Winter Olympics. Domitys Parc de Jade is located in central Albertville, offering apartments with mountain views and free WiFi. 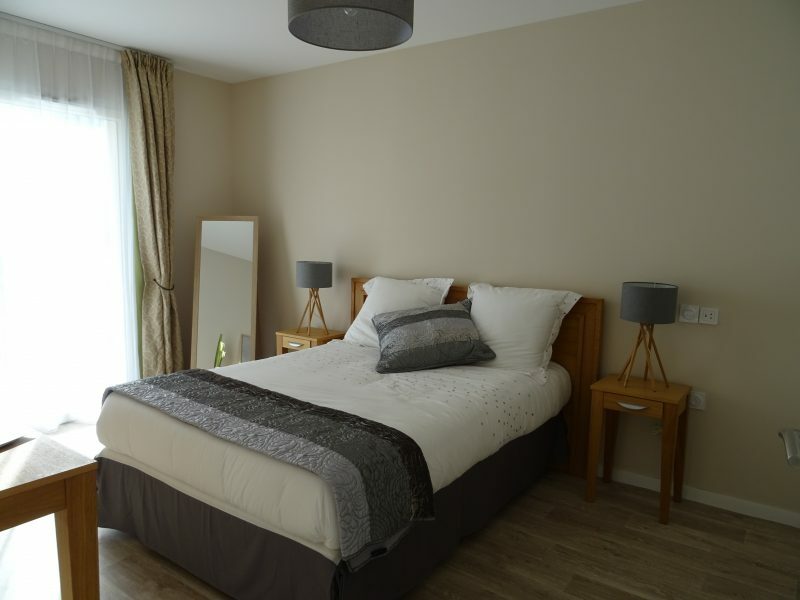 All apartments have a large double bed in the separate bedroom making this an extremely comfortable and spacious option for couples. 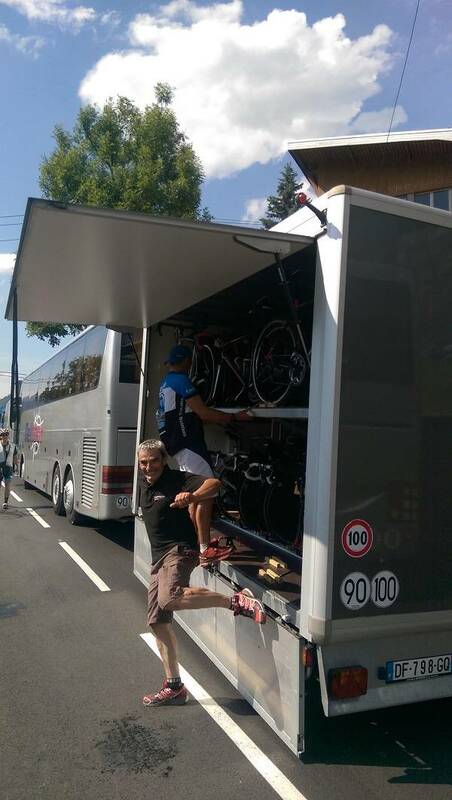 When our contracting team went to do their site visit ahead of the Etape du Tour we stumbled across this little gem. 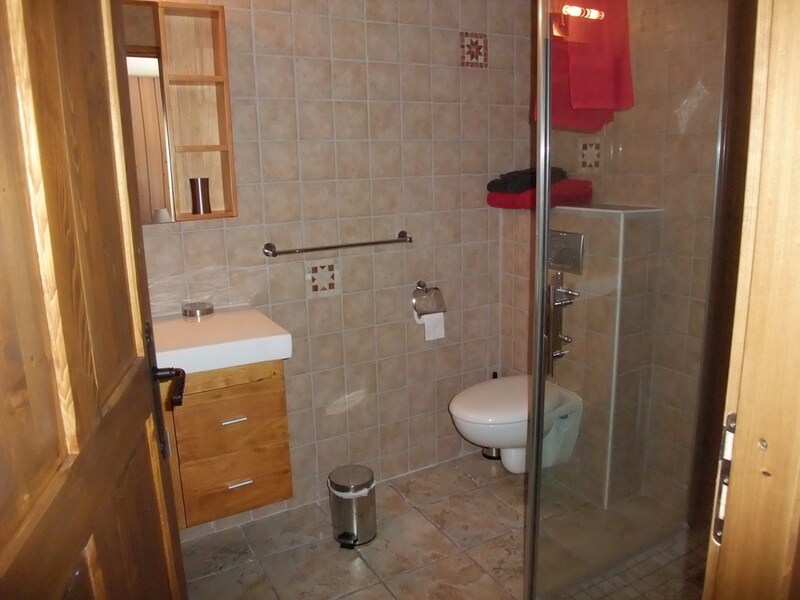 The Domitys is a high quality organisation offering assisted living for senior citizens. When they purchased the land there was a disused small chateau in the grounds. 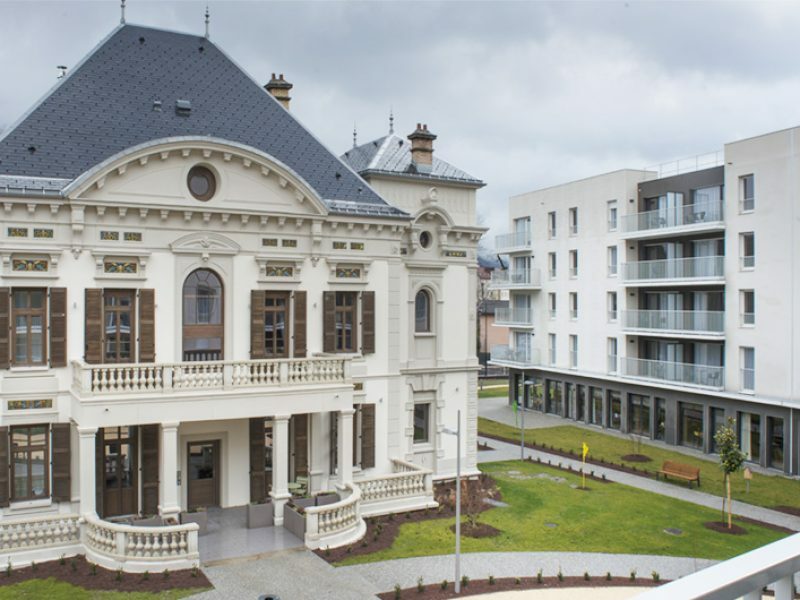 They decided to totally restore it to its former glory and to establish a high quality hotel apartment there. 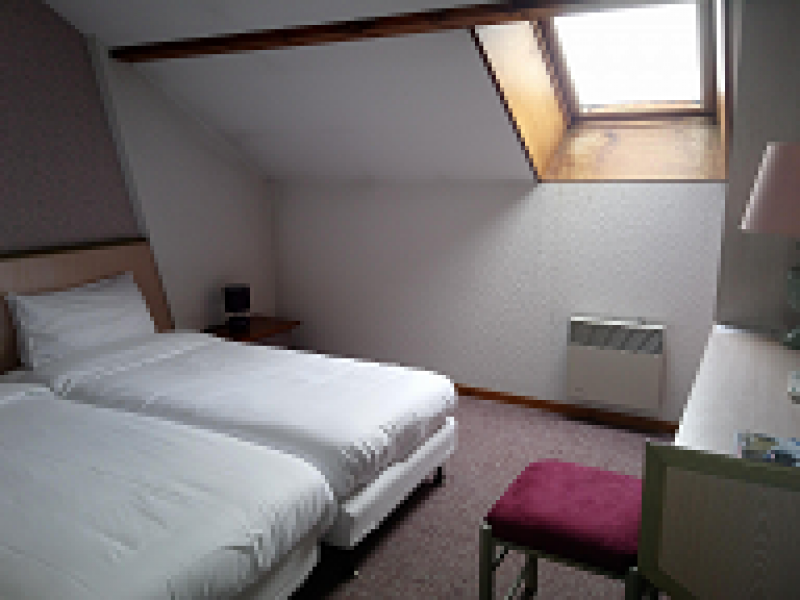 The result is in our view one of the best if not the best hotel in Albertville. 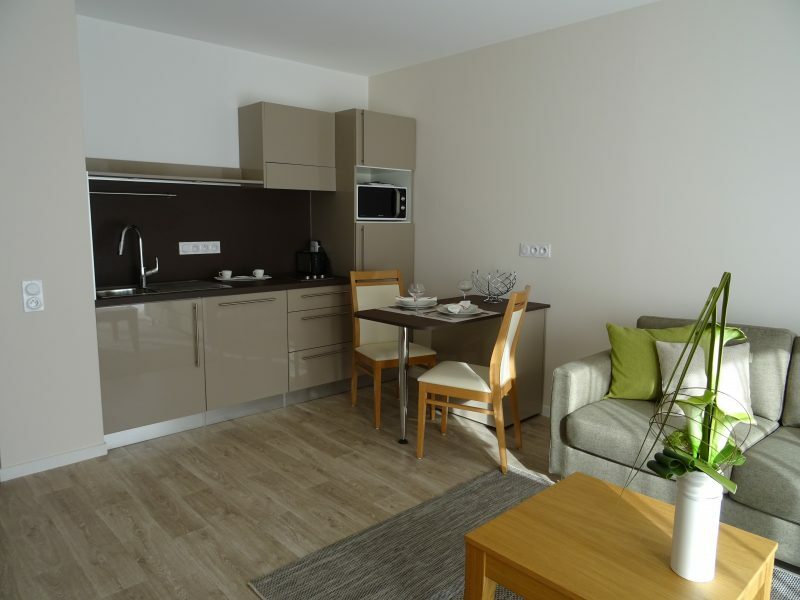 A brand new building set in grounds secured with restricted access with very large and very comfortable apartments. 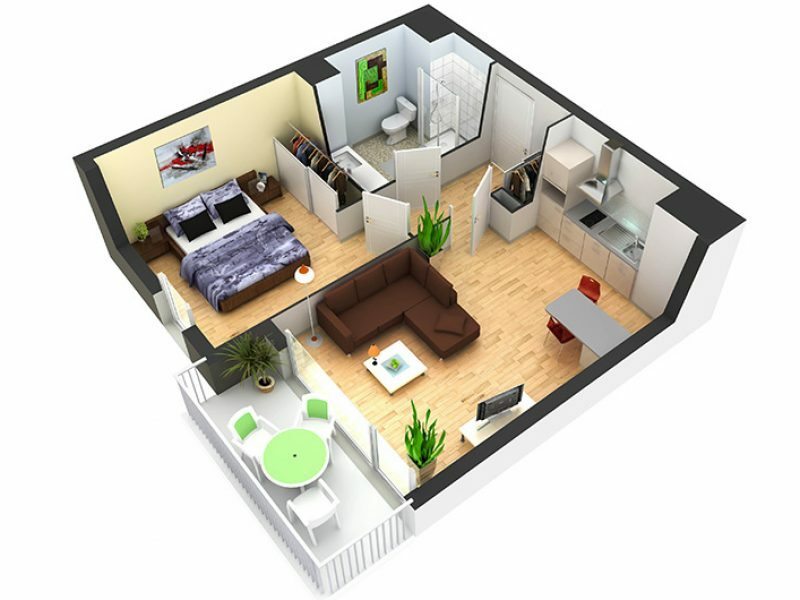 There are just 7 apartments in the building so we expect that this will be a very popular choice. 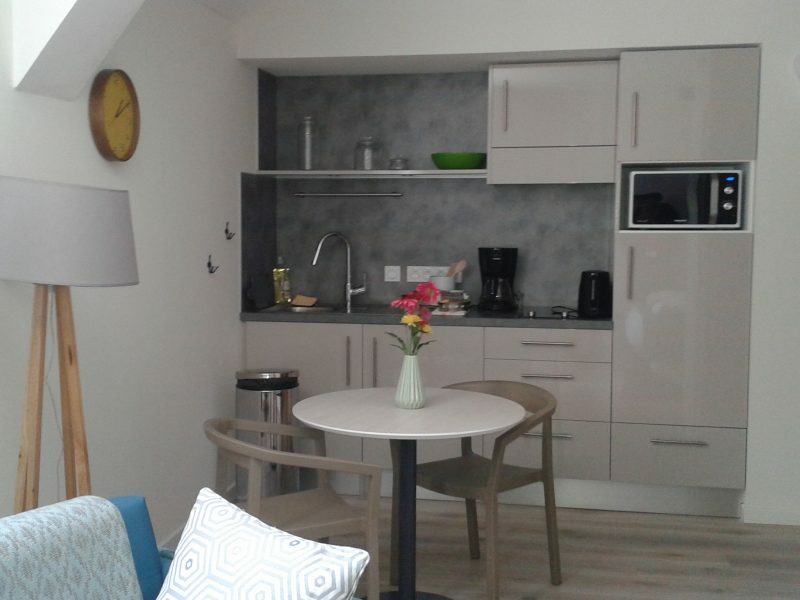 Each apartment has a separate bedroom and a bathroom, as well as a seating area with sofa bed, a dining area and a kitchen equipped with a microwave. Your stay here is on Bed & Breakfast basis. 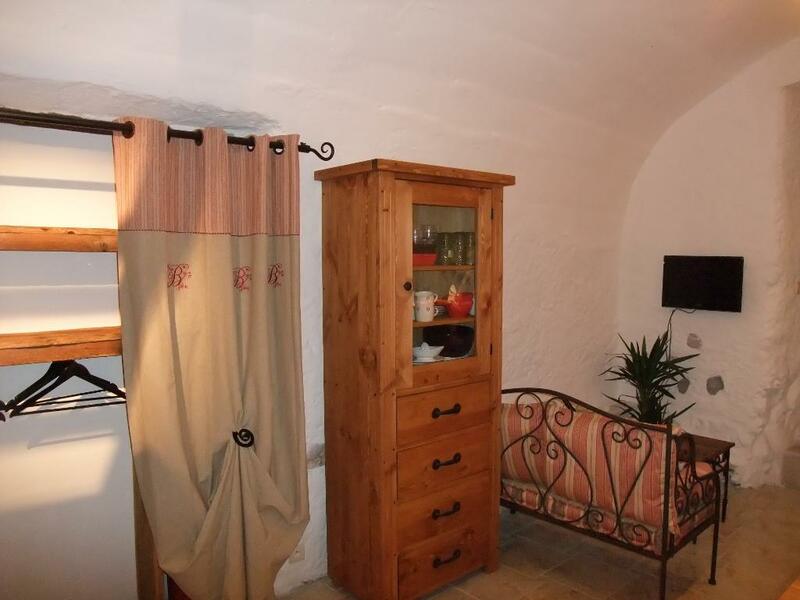 You can keep your bike with you in your apartment as there is plenty of space. For evening meals you can either use the cooking facilities or visit one of many local restaurants. 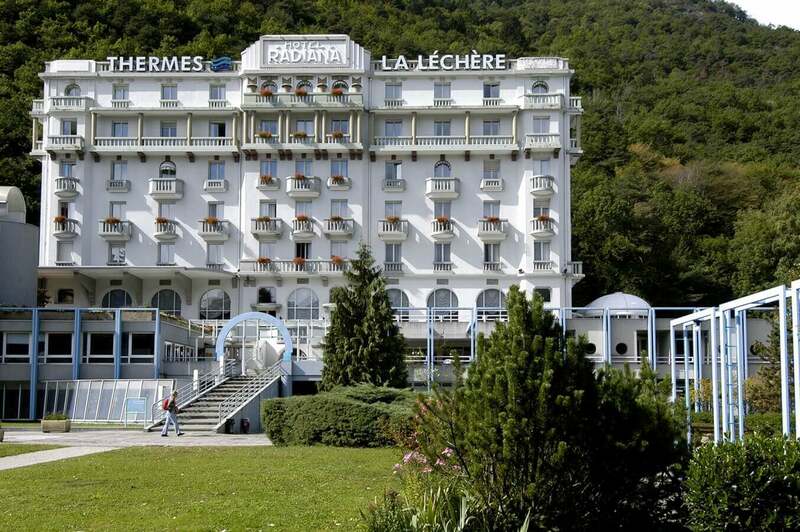 Importantly after another anticipated tough Etape the hotel is perfectly located a short distance away from the bottom of the final climb meaning your well earned beer is just a quick descent away. 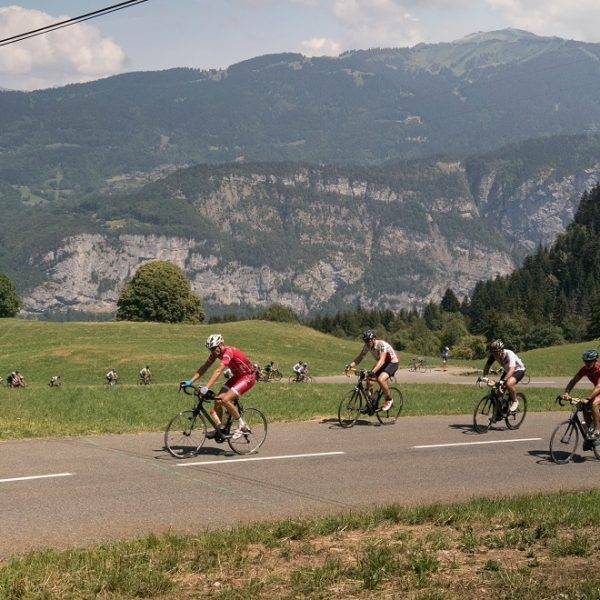 Tournon is just 9km from the centre of Albertville, the start location for the 2019 Etape du Tour and just 6km from the Halle Olympique which is the venue of the Etape du Tour Expo village and registration. 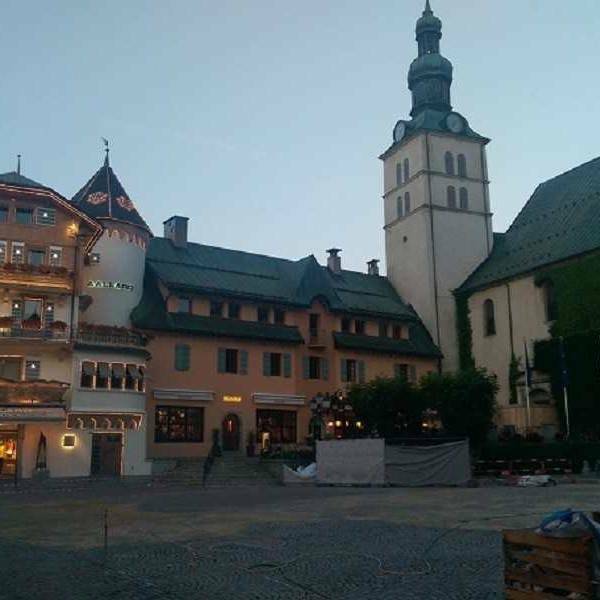 There is no access for larger vehicles to this location so we are not able to offer airport transfers. 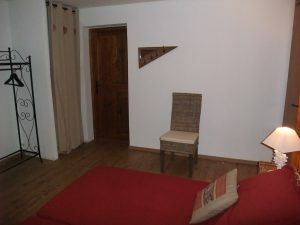 We have reserved this residence for those who are arriving by car only. 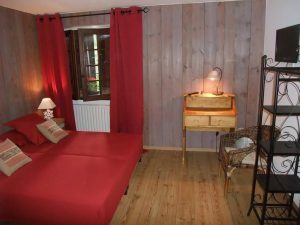 Your stay here is on Bed & Breakfast basis, and for evening meal options you are a short drive from Albertville or one of several smaller local towns. Please arrive at the the Domaine today by making your own arrangements. Please let us know your approximate arrival time so we can ensure that you are welcomed on arrival by your hosts. You will be given a 24hr out of hours emergency phone number in case you have any issues. 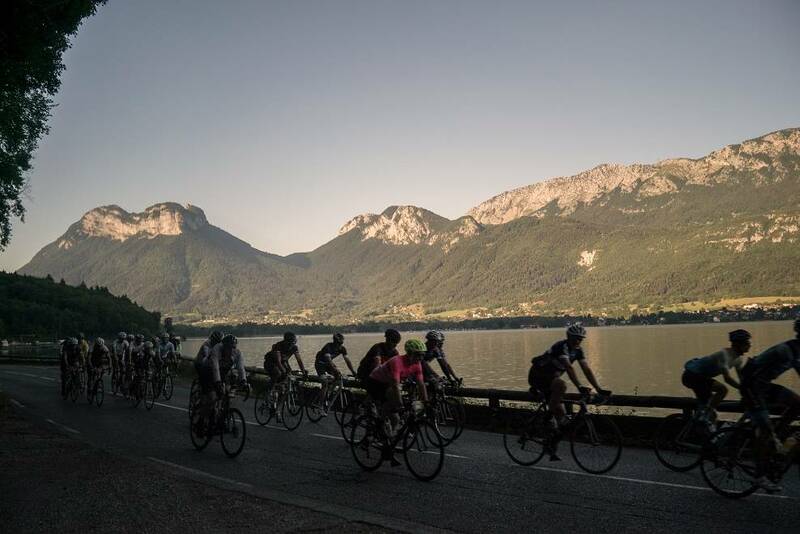 After breakfast you have plenty of time today to register for the 2019 Etape du Tour at the Halle Olympique which is located just 6km away from the Domaine. 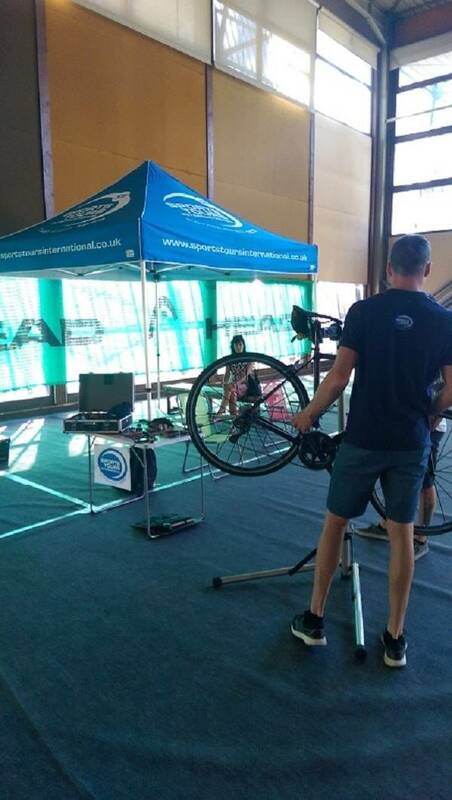 If you have a warm up ride today then you can store your bike at the registration whilst you register. We have an expo stand at the village so you can come and meet us in case you need any assistance. 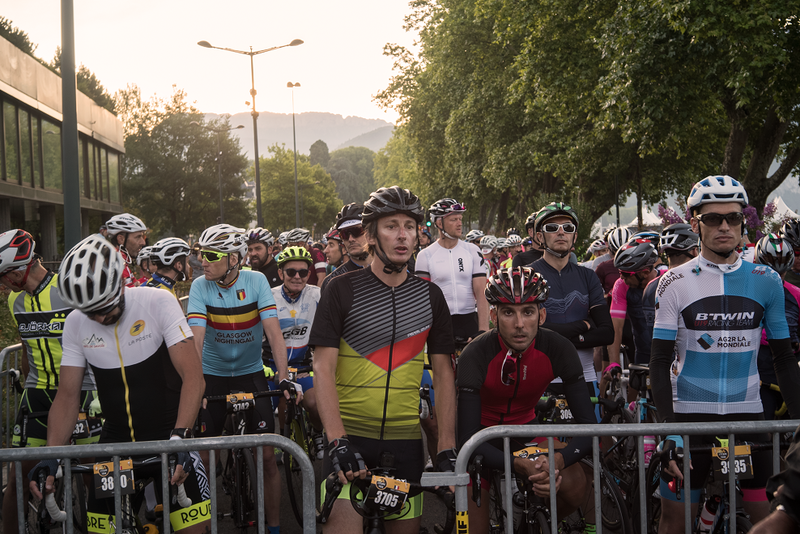 After an early breakfast, cycle over to the start of the 2019 Etape du Tour in Albertville centre. 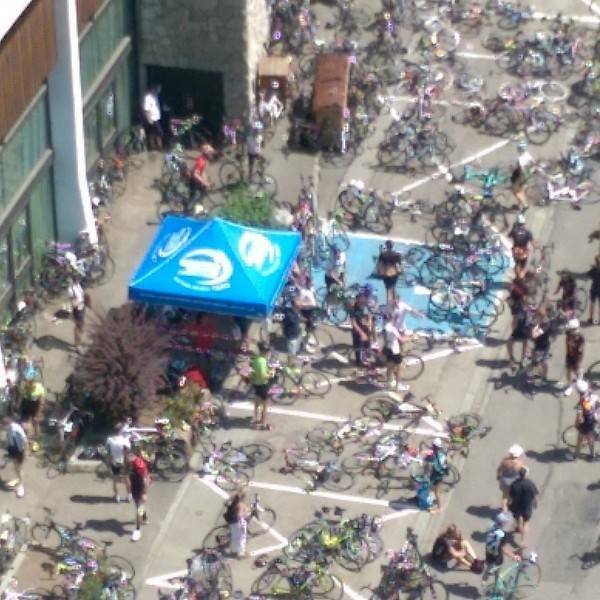 We suggest that you leave your car near the Halle Olympique for the day so you don’t have to cycle back up the hill that leads to the Domaine on the way back. 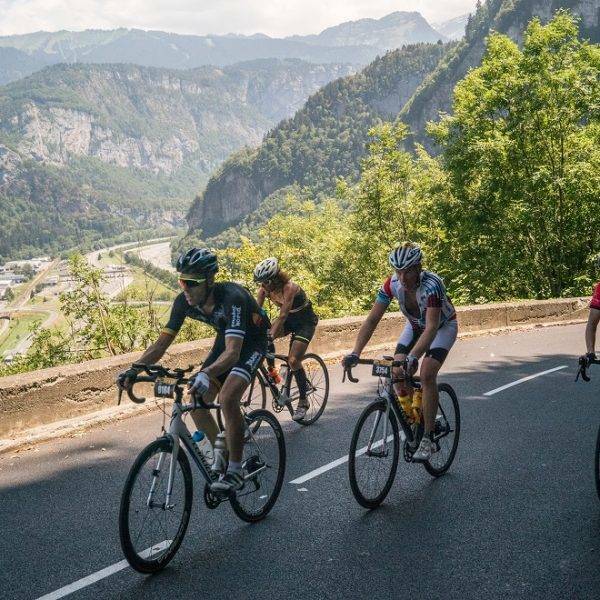 After you finish in VAl Thorens our transport will bring you and your bike to the Halle Olympique in Albertville so you can cycle or drive back from there to the Domaine. Completely renovated in 2012, this high-roofed former vegetable store sleeps 2 people in twin beds or a double. 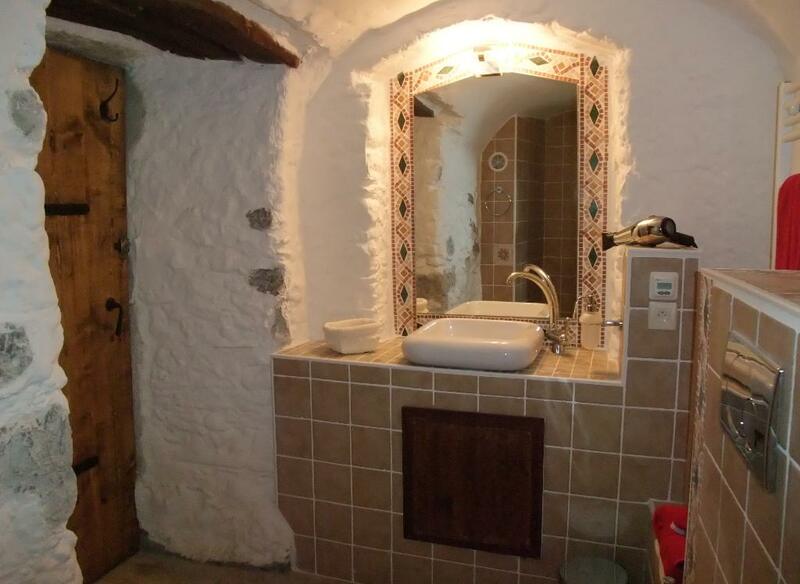 The gite has an en-suite bathroom and a fully equipped kitchen. 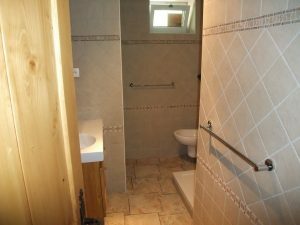 Completely renovated, and sleeping 2 people in 2 single beds (se photos), this room has its own independent entrance, and an en-suite bathroom with shower. Completely renovated, and sleeping 2 people in 2 single beds (see photos), this room has its own independent entrance, and an en-suite bathroom with shower. 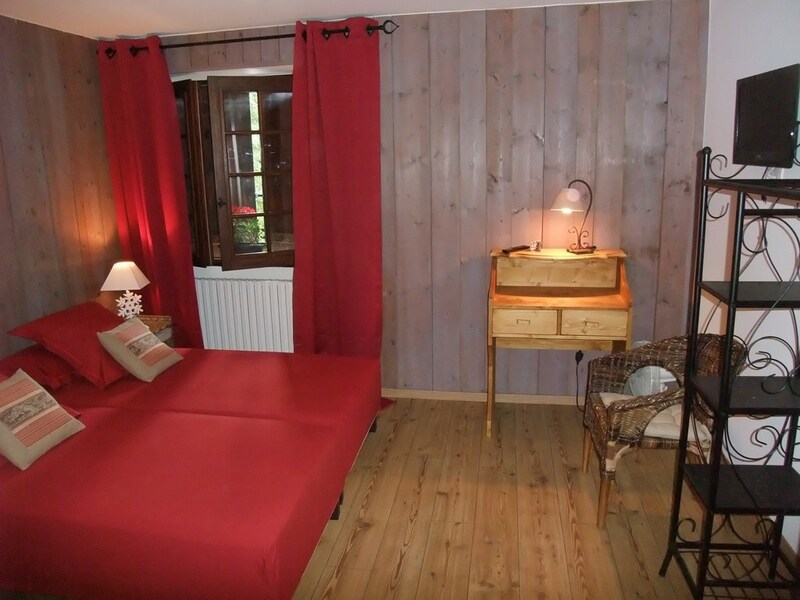 This large room for a family or group of friends consists of 2 double beds (which can be changed for 4 single beds), a double sofa bed and a single sofa bed. A private bathroom and WC are located on the same corridor. 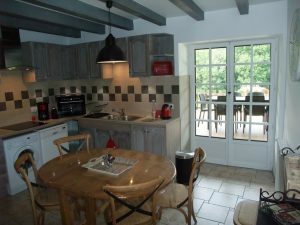 Completely renovated in 2012, this gite has a private bedroom (can be a double or twin), as well as a living area with double sofa bed. 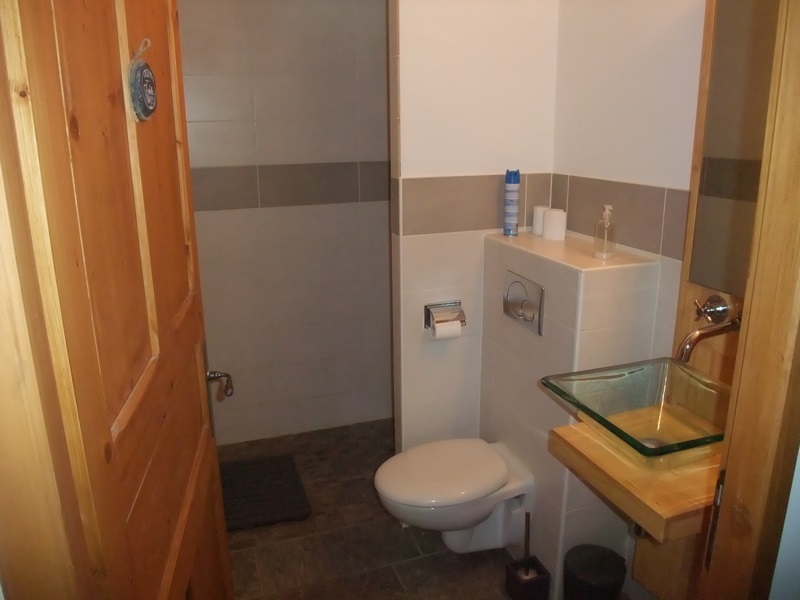 There is an en-suite bathroom with shower, and the living area has a fully equipped kitchen. Entirely renovated, this apartment has 2 private double bedrooms (can be twins) as well as a living area with a double sofa bed. 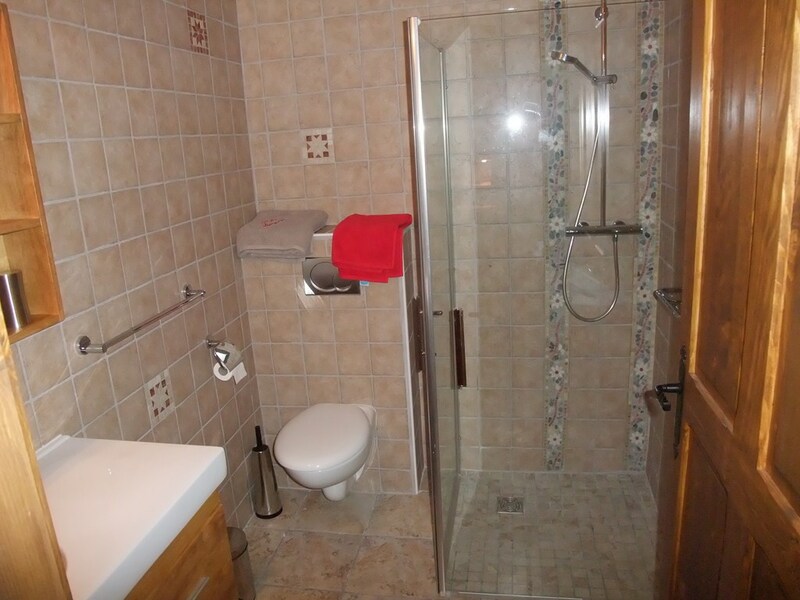 There is an en-suite shower and a separate WC. 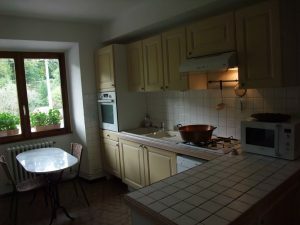 The living area has a fully equipped kitchen. 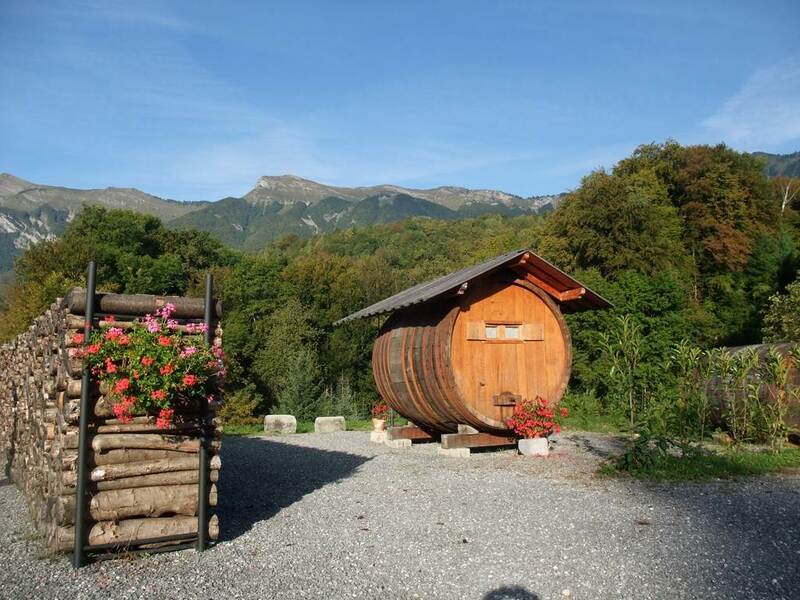 This is your chance to spend a weekend in a 10,000 litre wine barrel! 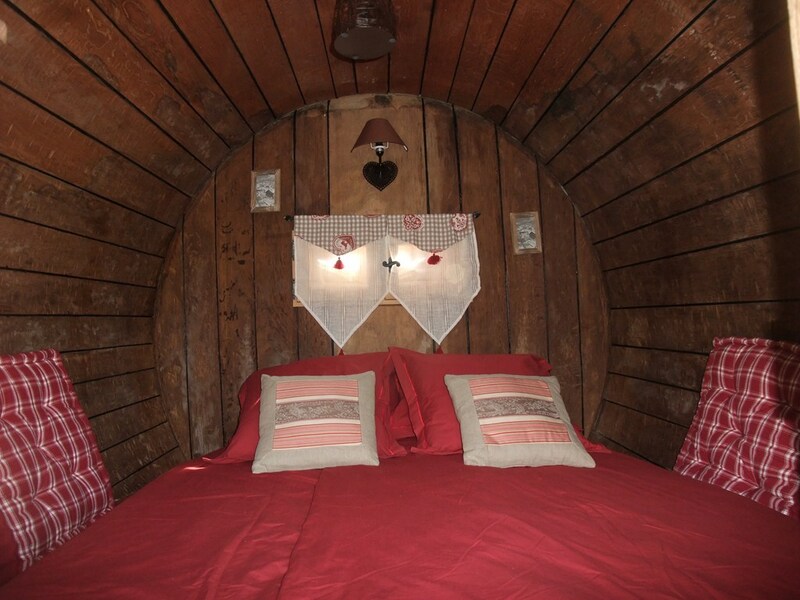 The barrel has been converted into a cosy bedroom in a Savoyard style, with either a double bed or 2 single beds. There is a recently renovated shower and WC block located nearby. 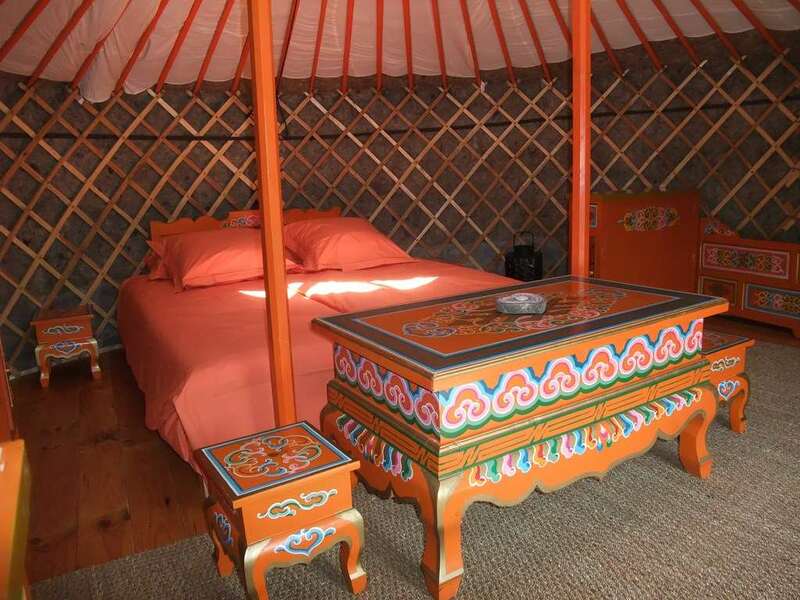 This authentic Yurt was transported all the way from Mongolia! The communal tent sleeps up to 4, with a large double bed and 2 seperate single beds. 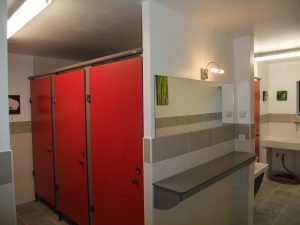 There is a recently renovated shower and WC block located nearby. 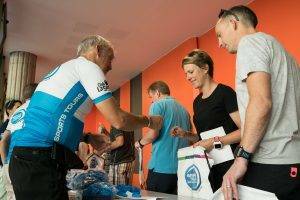 To take part in the 2019 Etape du Tour you have to get a medical certificate signed by your doctor within the last year from the event date. For an example copy of the kind of form have a look here, Medical certificate example cycling. Alternatively our partners offer online medical certification. 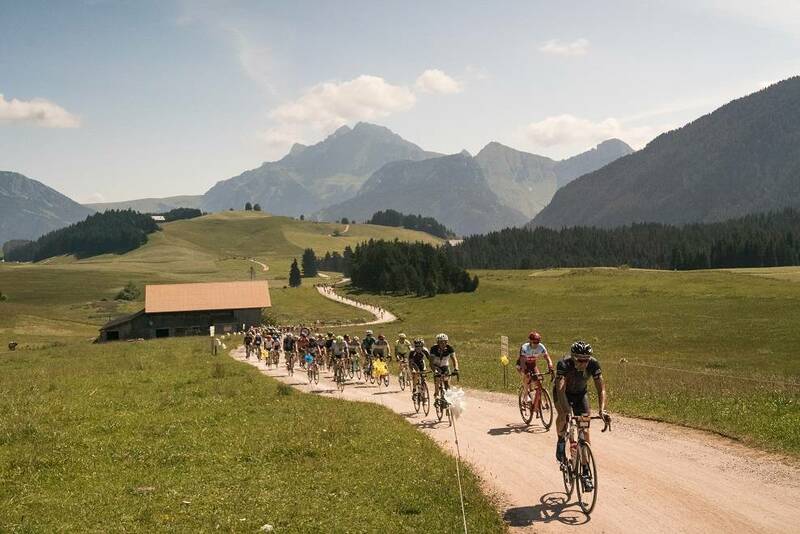 PLEASE NOTE, AT ETAPE REGISTRATION, YOU WILL BE REQUIRED TO PRESENT A DOCTOR’S NOTE STATING THERE ARE NO KNOWN MEDICAL REASONS WHY YOU SHOULD NOT COMPETE. PLEASE VISIT OUR MEDICAL CERTIFICATION PAGE (HERE) FOR MORE INFORMATION. 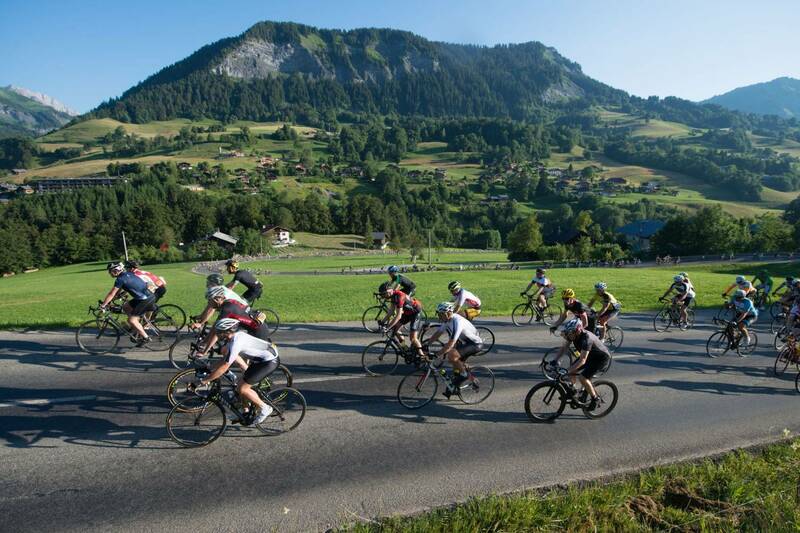 THIS IS LEGAL REQUIREMENT AND FAILURE TO COMPLY WILL MEAN THAT YOU CANNOT PARTICIPATE IN THE ETAPE. Q. 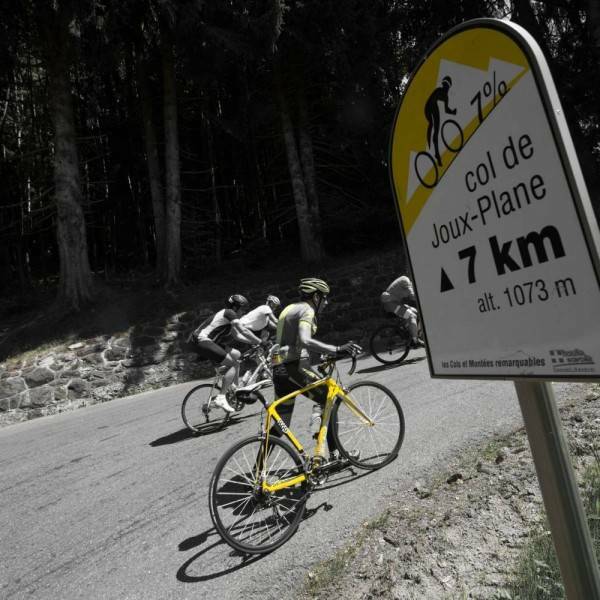 What is the Etape du Tour? 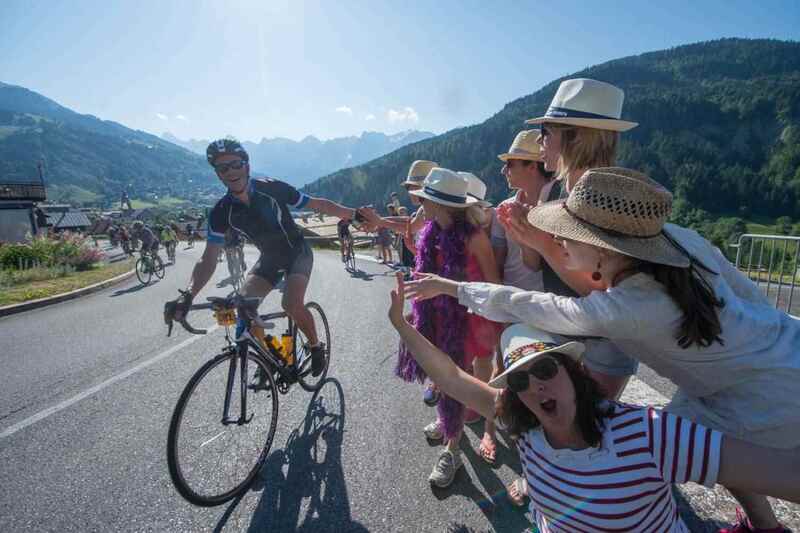 The Étape du Tour means: 'a stage of the Tour de France' and it is a timed event which takes place every year. 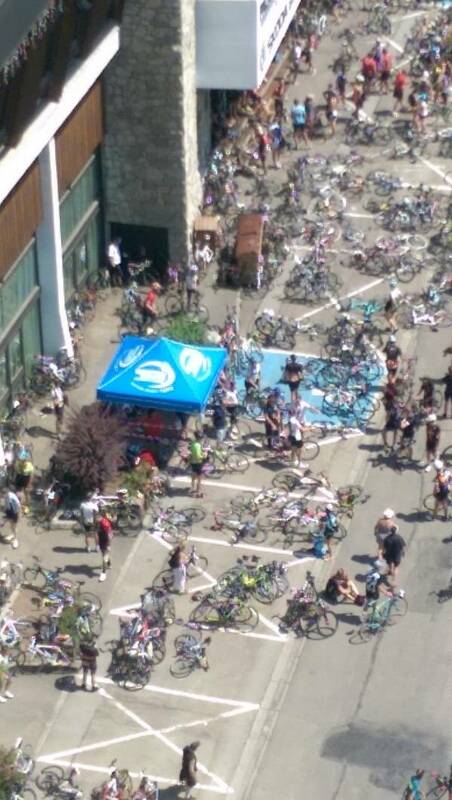 A full stage of that year’s Tour de France. 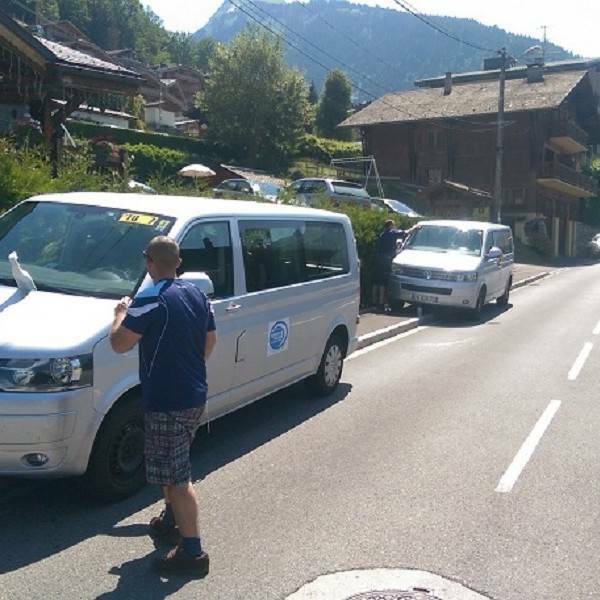 is chosen and the event is run by the Tour de France organisers, ASO, using similar race-day logistics to the Tour itself..That means you get closed roads, Mavic on-road mechanical support and feedzones like on the Tour de France. Q. When and where is it? 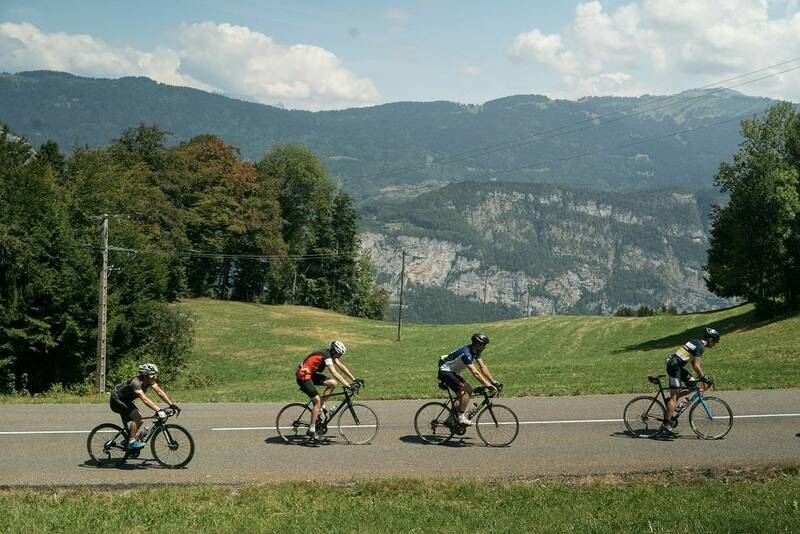 The Etape always take place in July and in 2019 you and thousands of other amateur cyclists can ride stage 20 from Albertville to Val Thorens on Sunday 21 July. 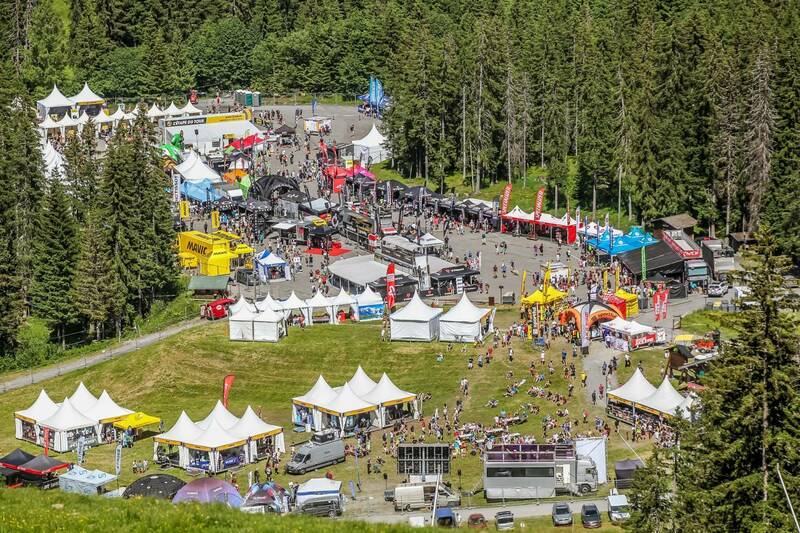 This exact stage will be done by the pros on Saturday 27 July, 2019. Q. How long have I got to do it? 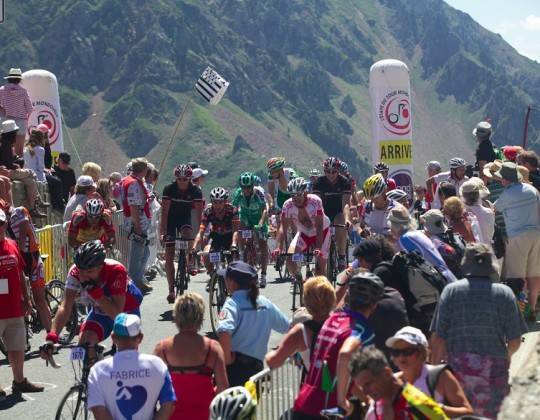 Like for the Tour de France stage, a time schedule is published ahead of the Etape du Tour. You have to pass cut off points on the route at certain times. The cut off points are areas where buses are parked and lorries to transport bikes. 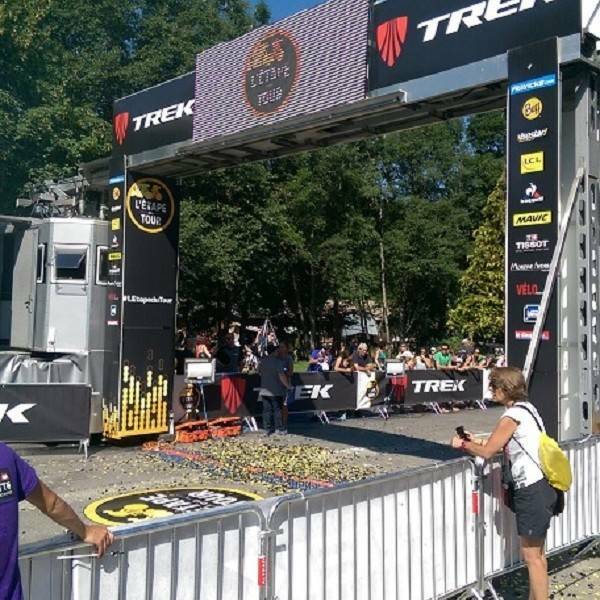 If you get there too late you will not be allowed to pass and you are offered a seat on the bus which will take you to the finish. 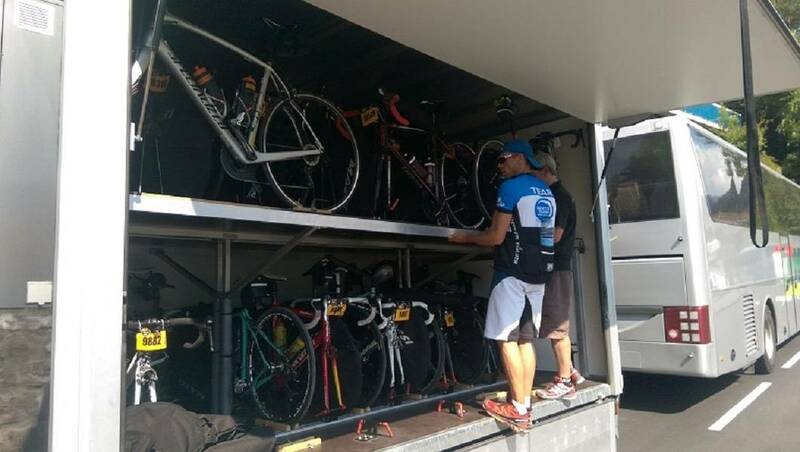 Your bike is transported separately so you have to wait to recuperate it at the finish sometimes. 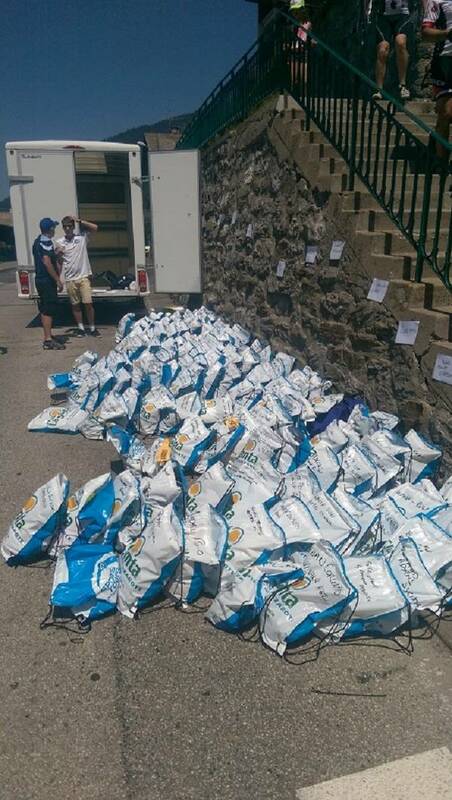 There is not an actual 'broom wagon' that follows the race and gobbles you up like Pac Man. 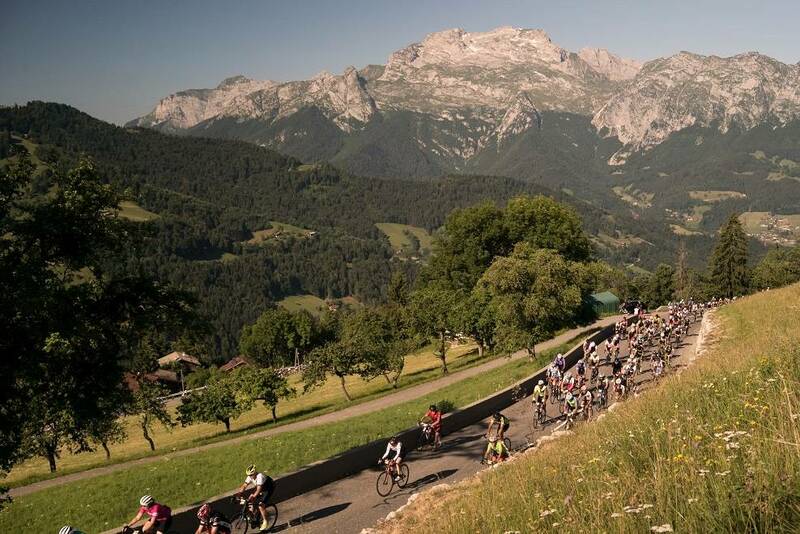 You can enter on www.etapedutour.fr but entries sell out quickly. 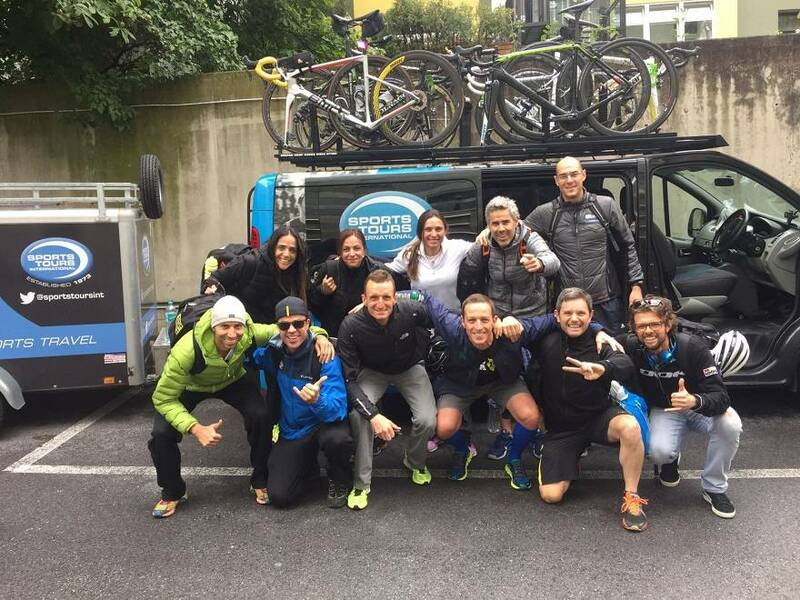 It's easy to buy a guaranteed entry with Sports Tours International. 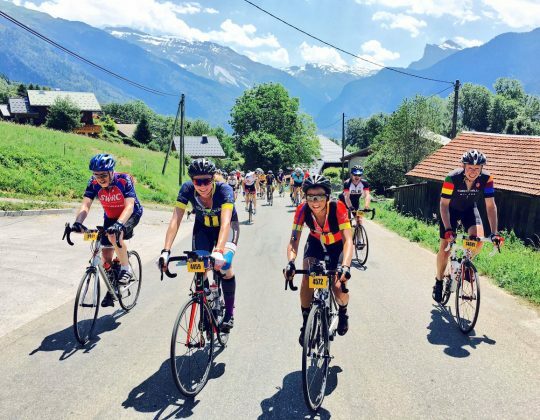 We send you a pin code which you can use on the Etape du Tour website and you can buy all sorts of extras with us like hotels, airport transfers, bike transport options, bike rental, a shuttle back from the finish, mechanical support, additional feed stations and much more. Why do it all yourself when we can take away all the stress for you so you can focus on the riding?